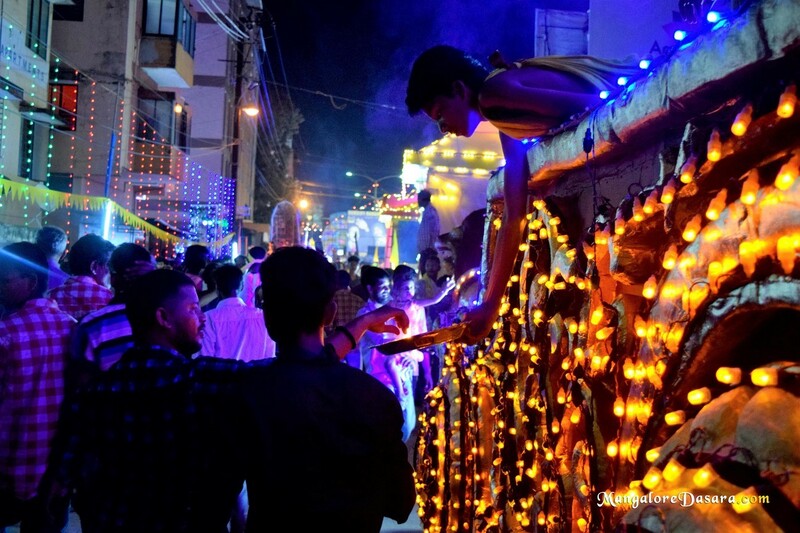 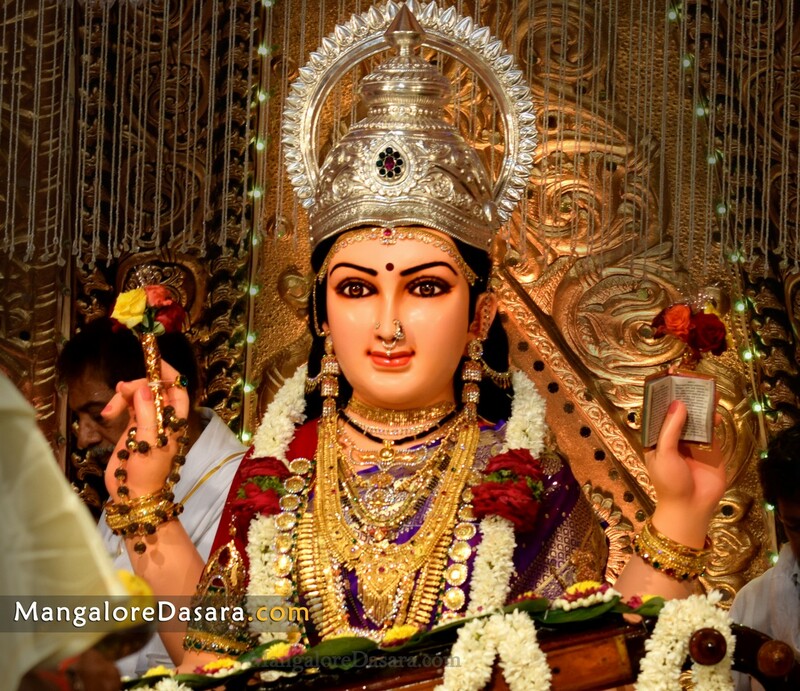 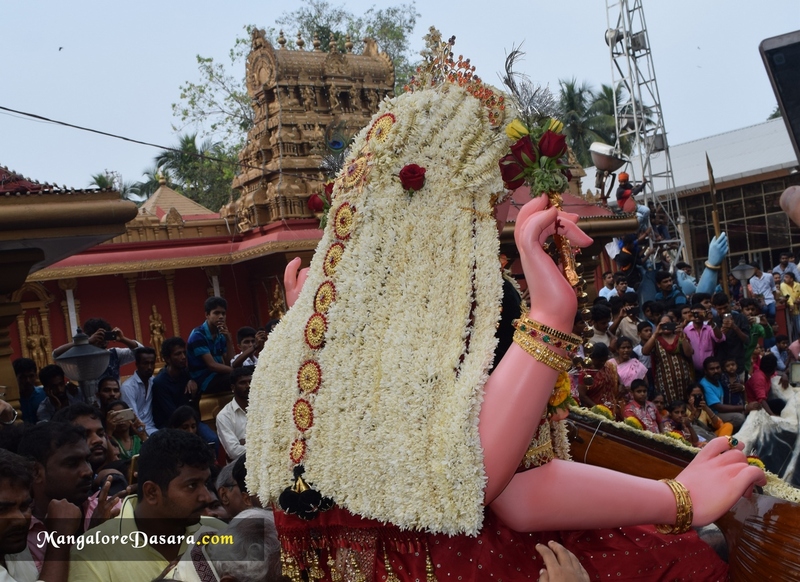 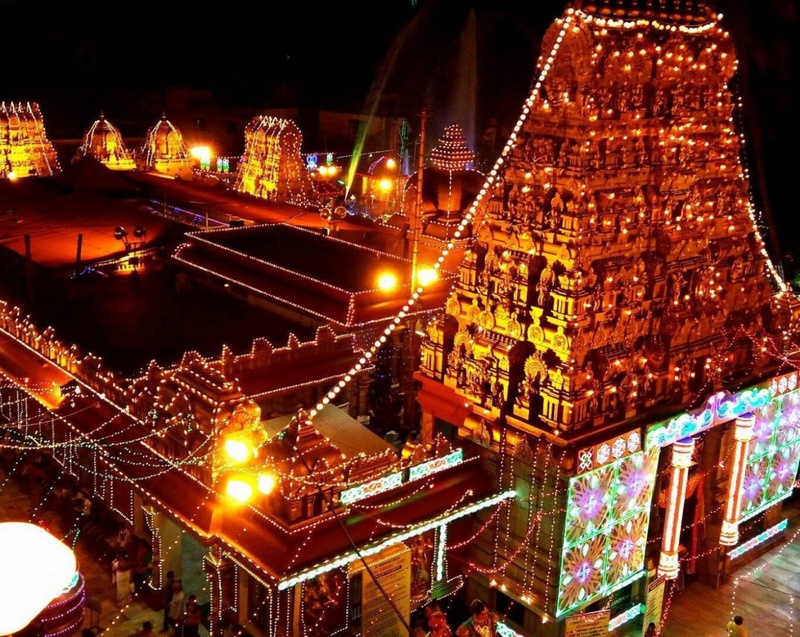 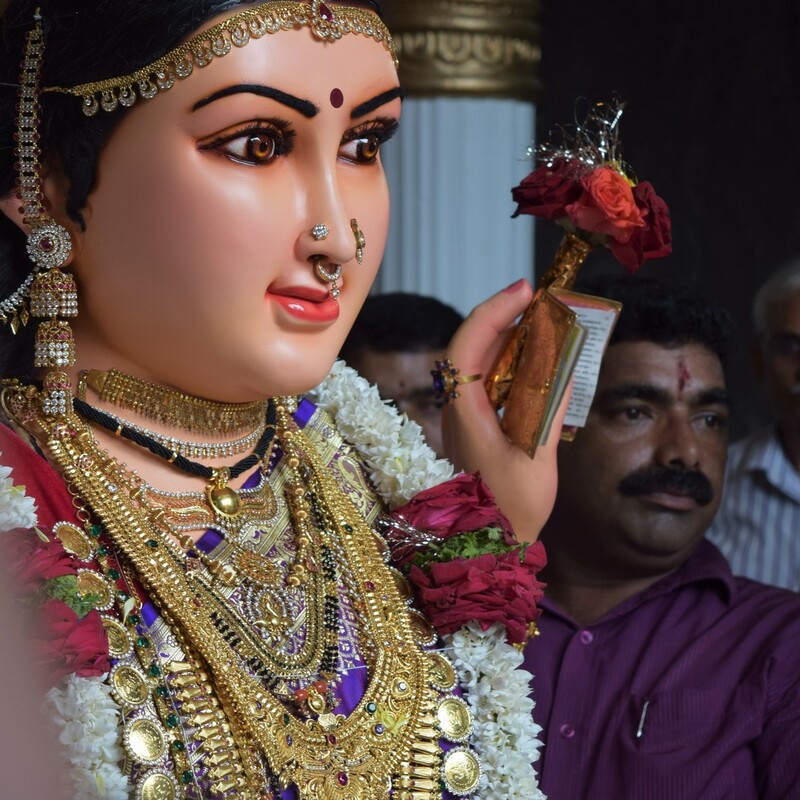 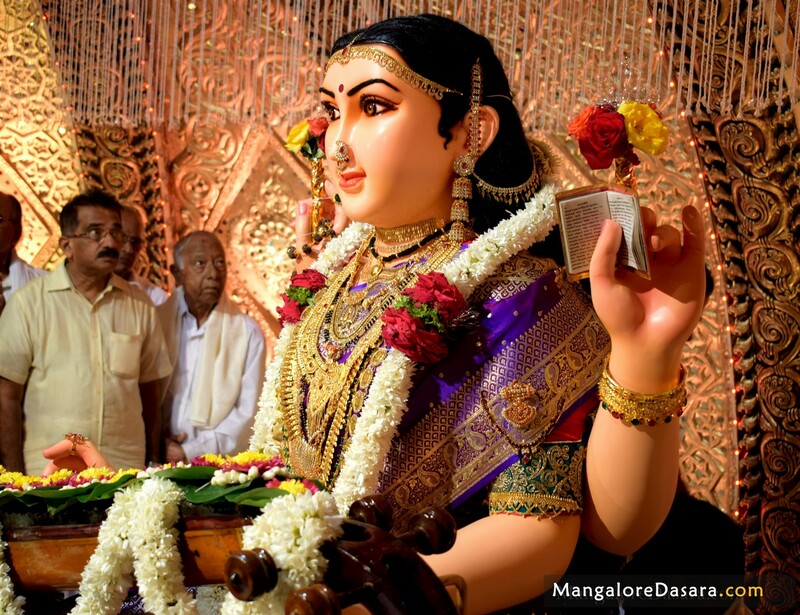 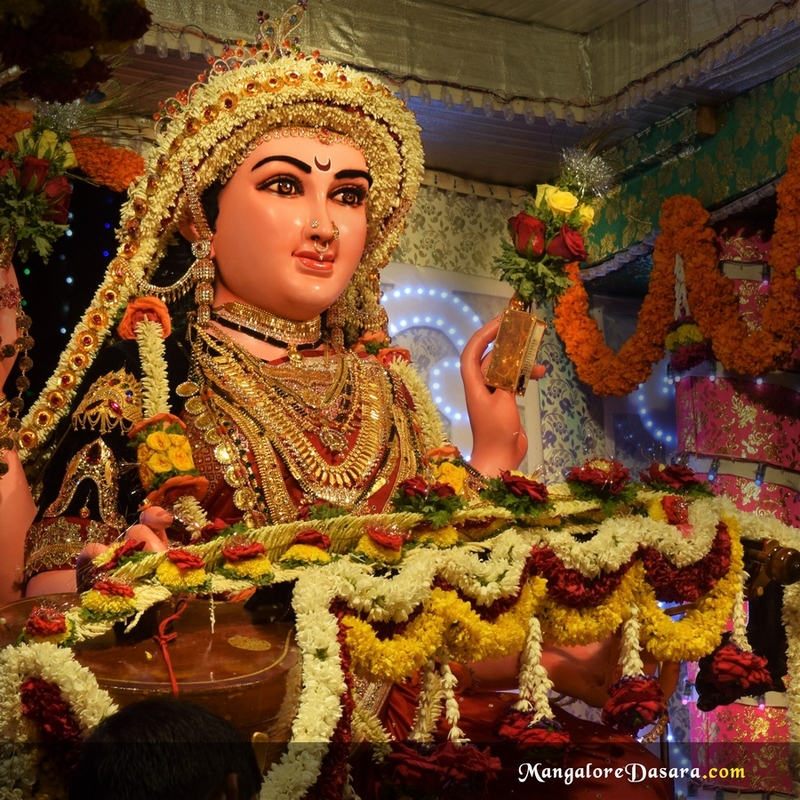 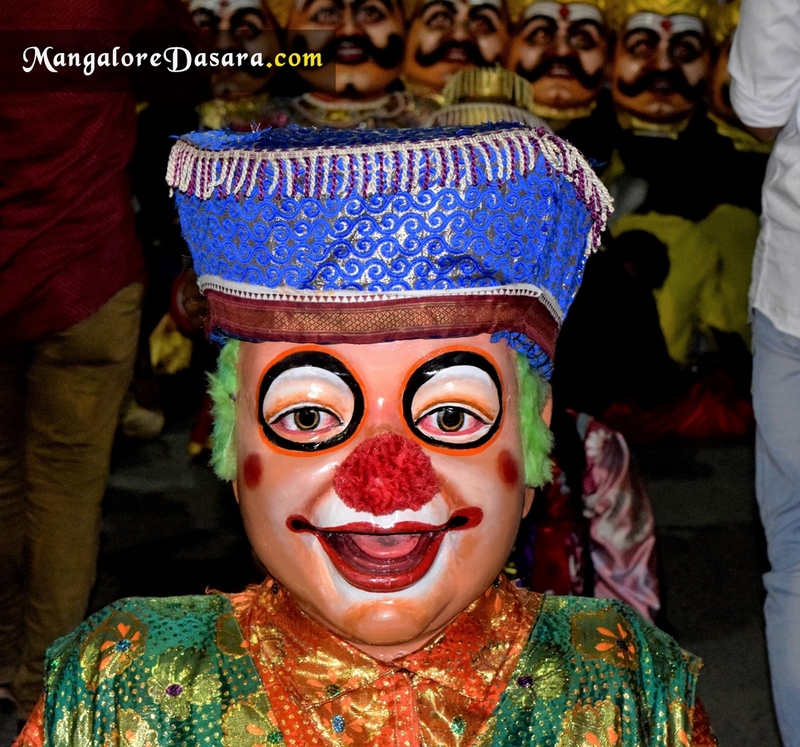 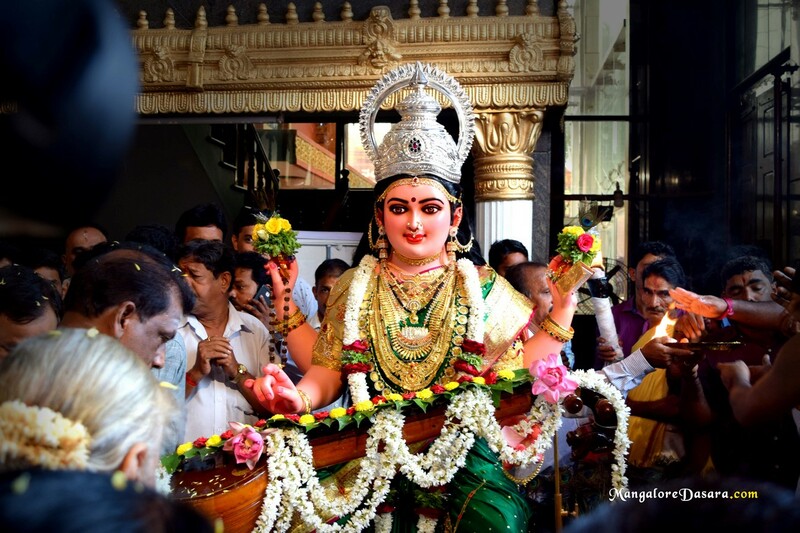 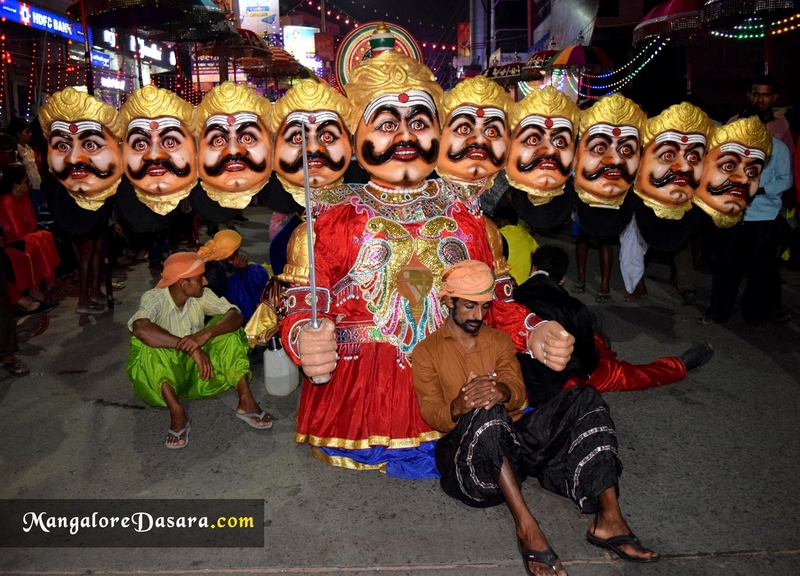 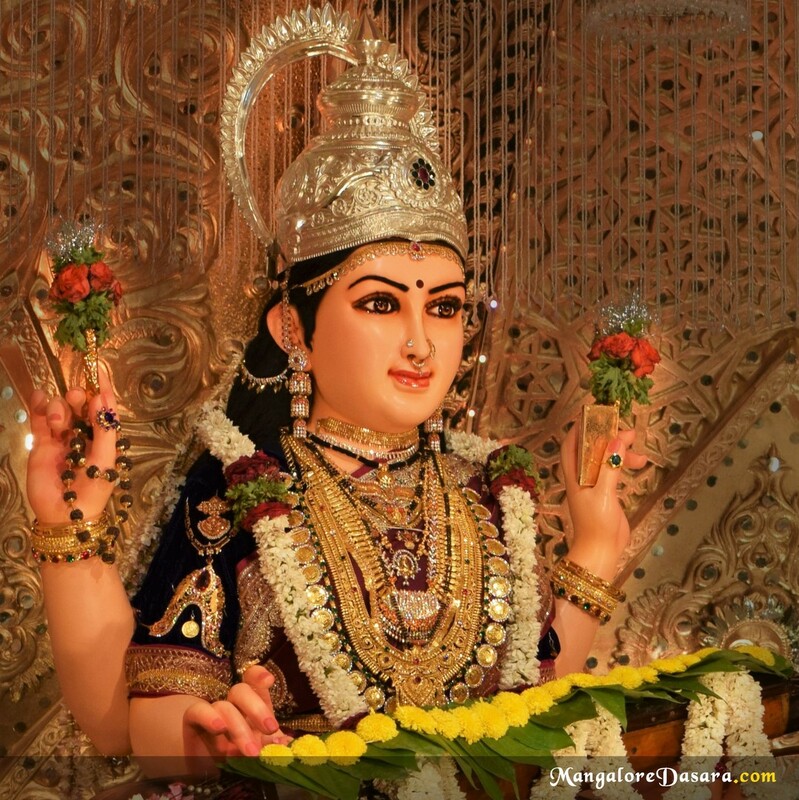 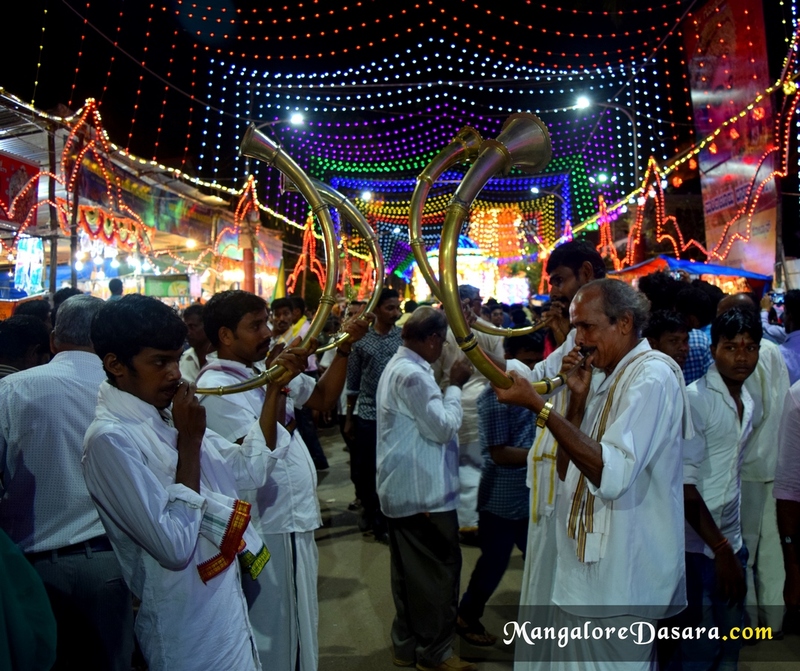 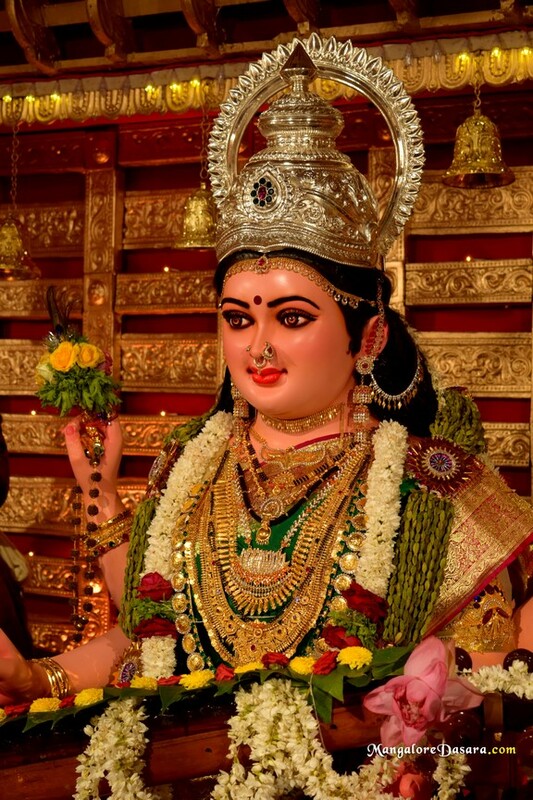 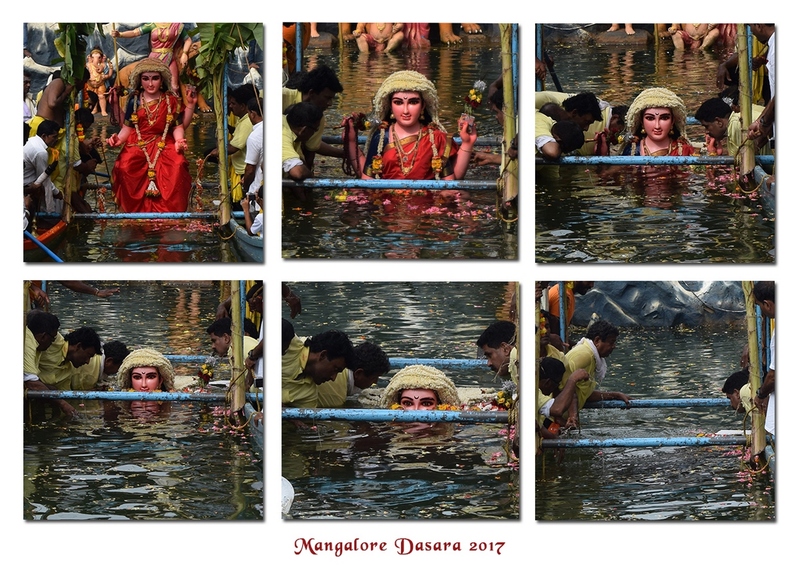 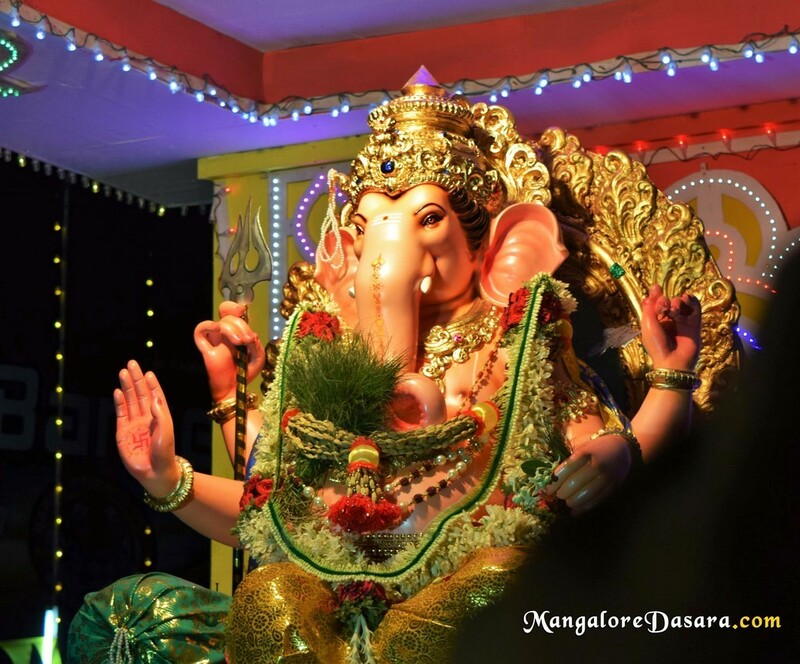 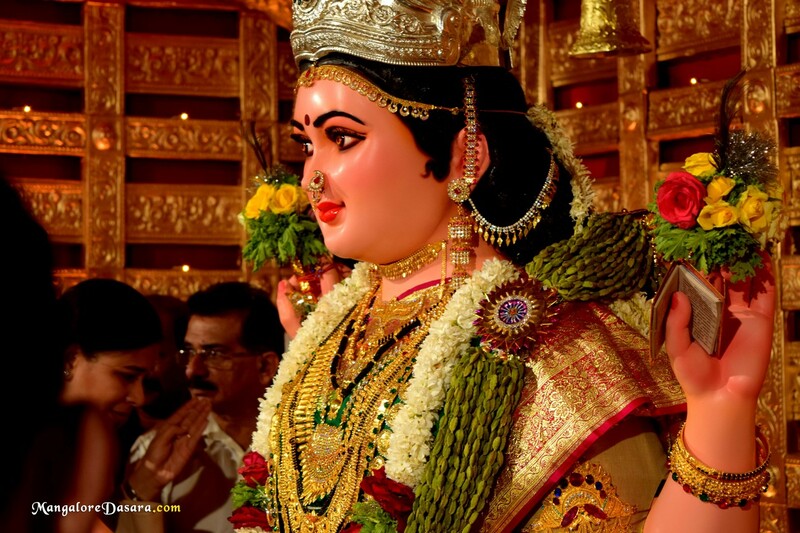 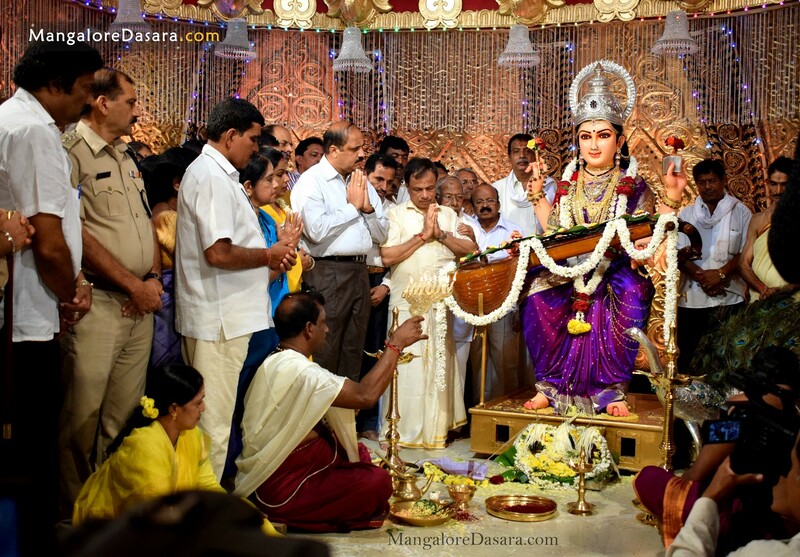 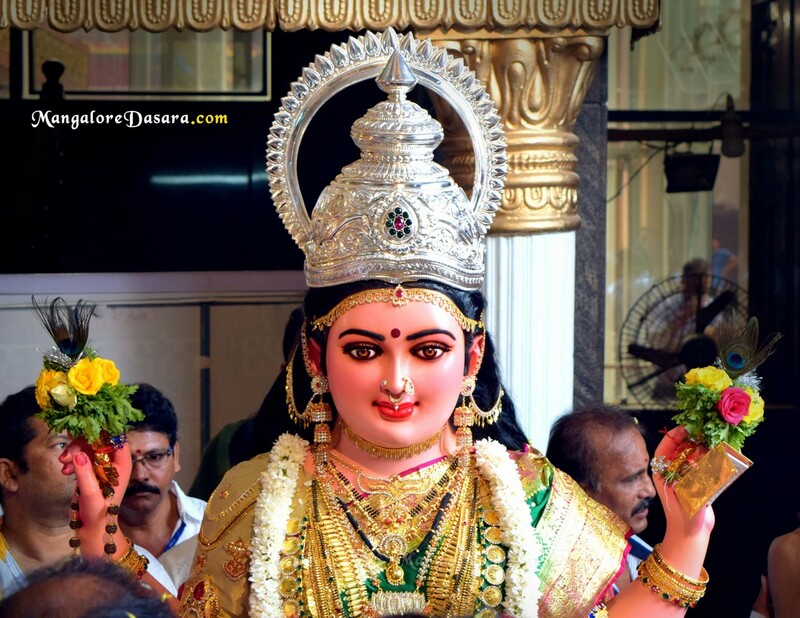 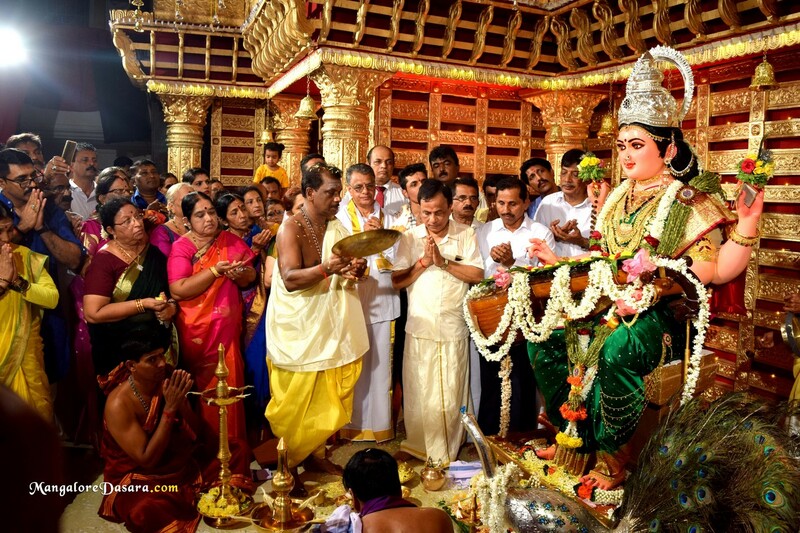 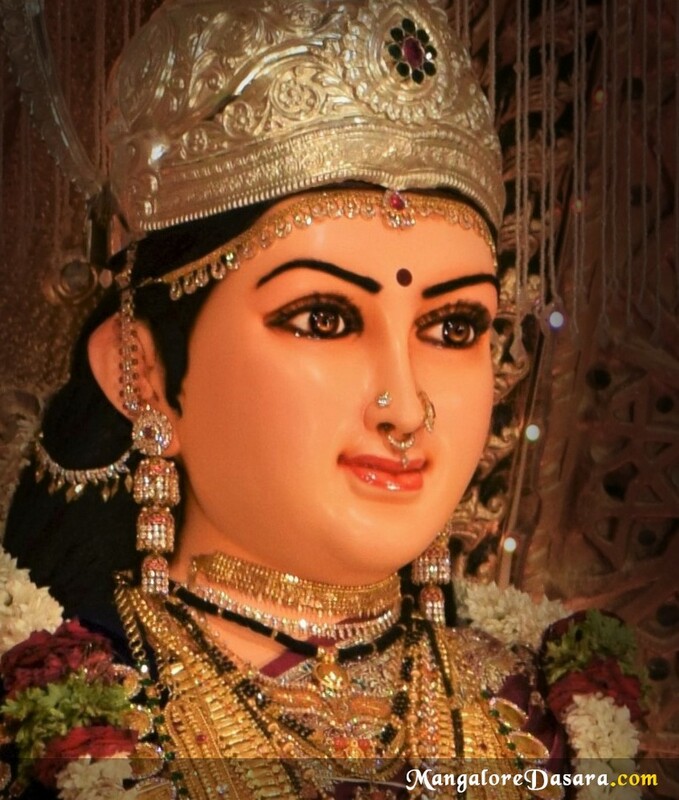 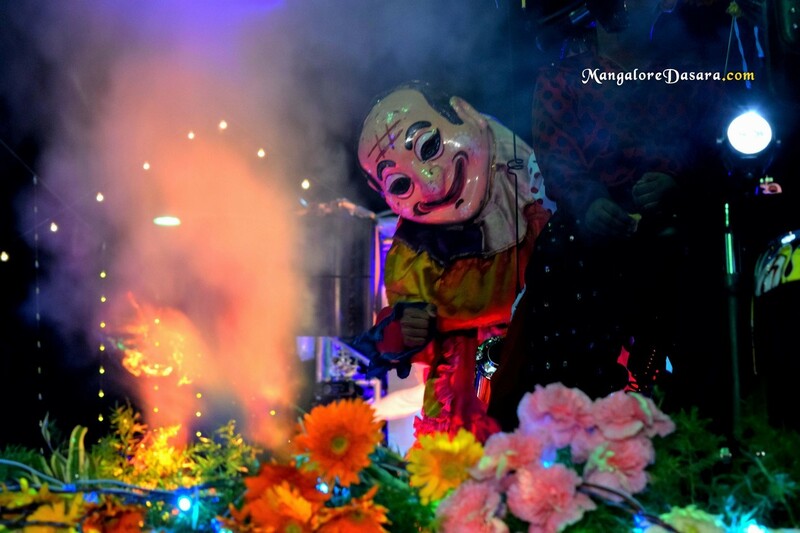 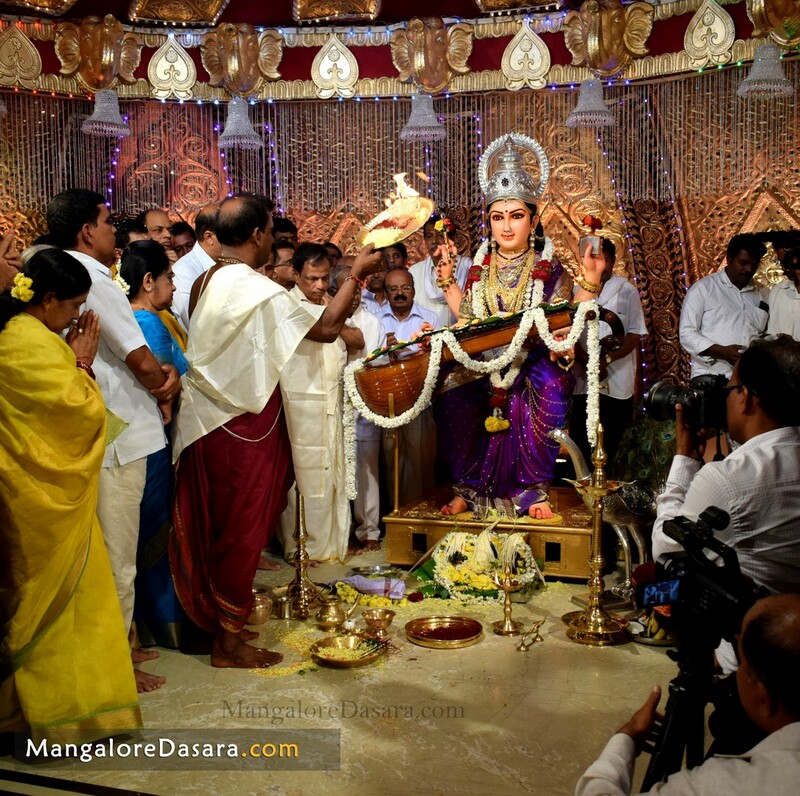 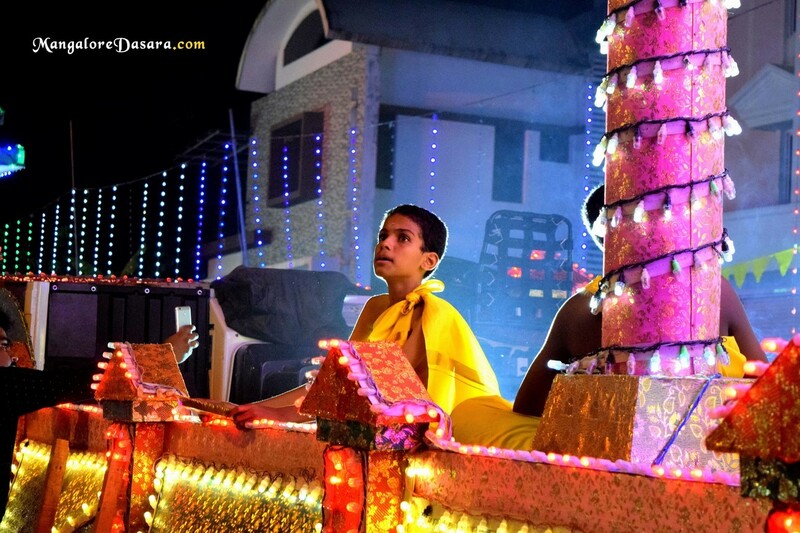 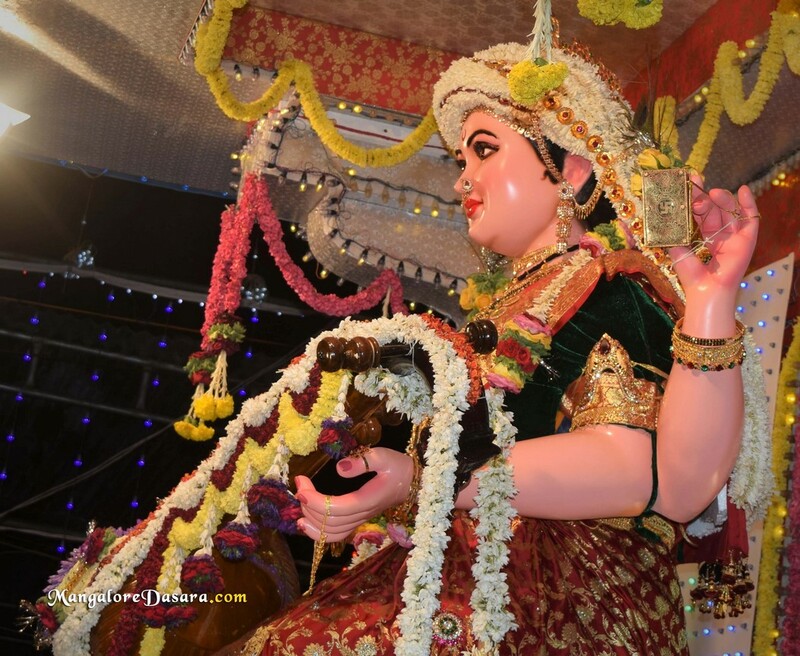 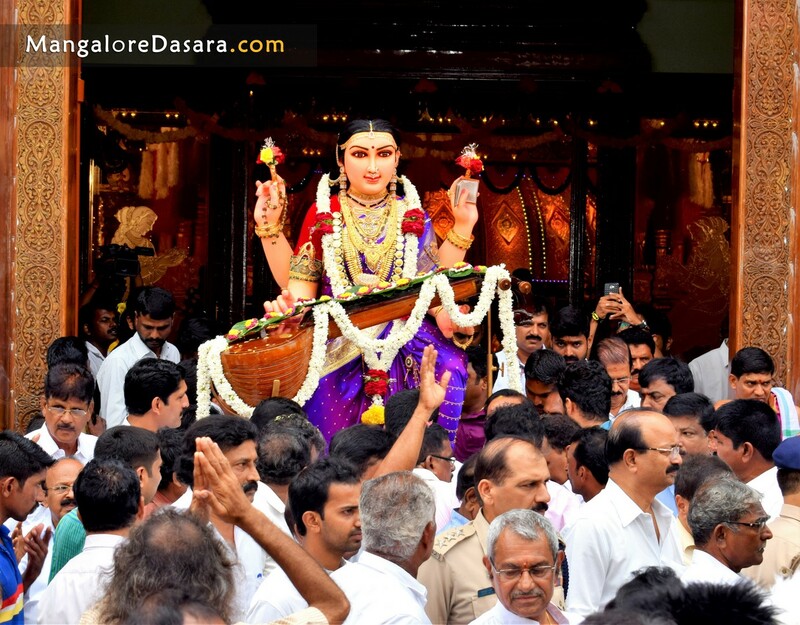 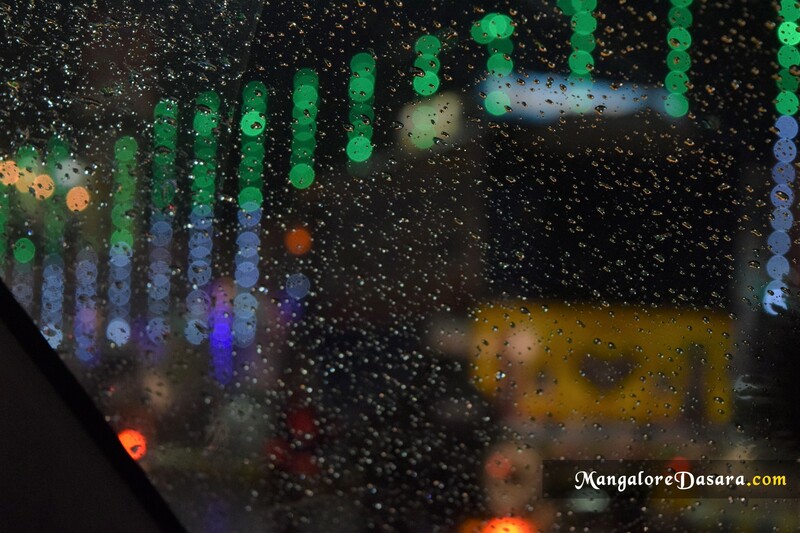 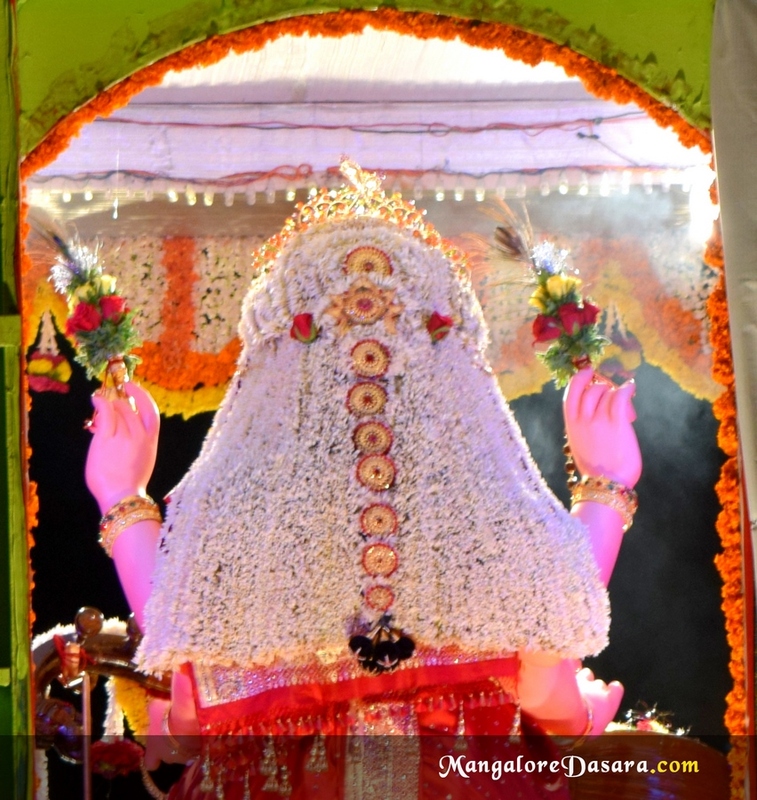 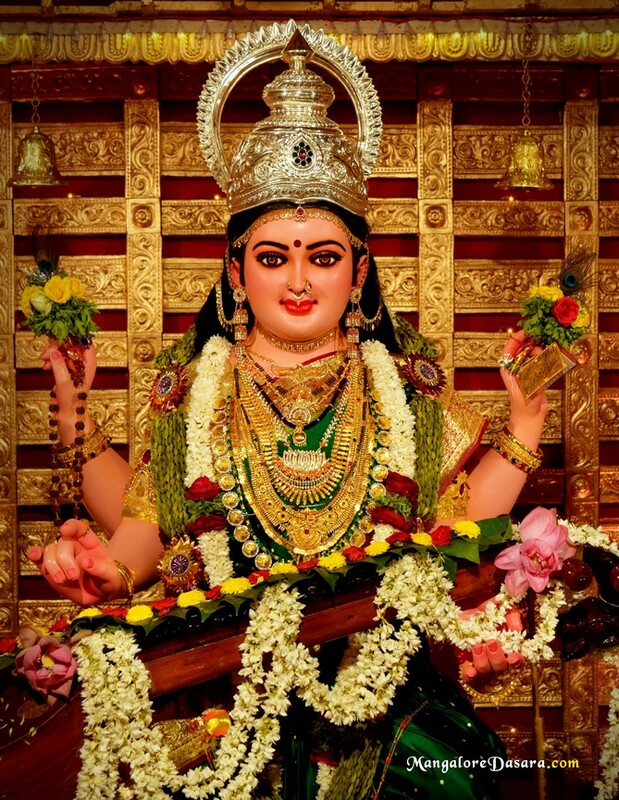 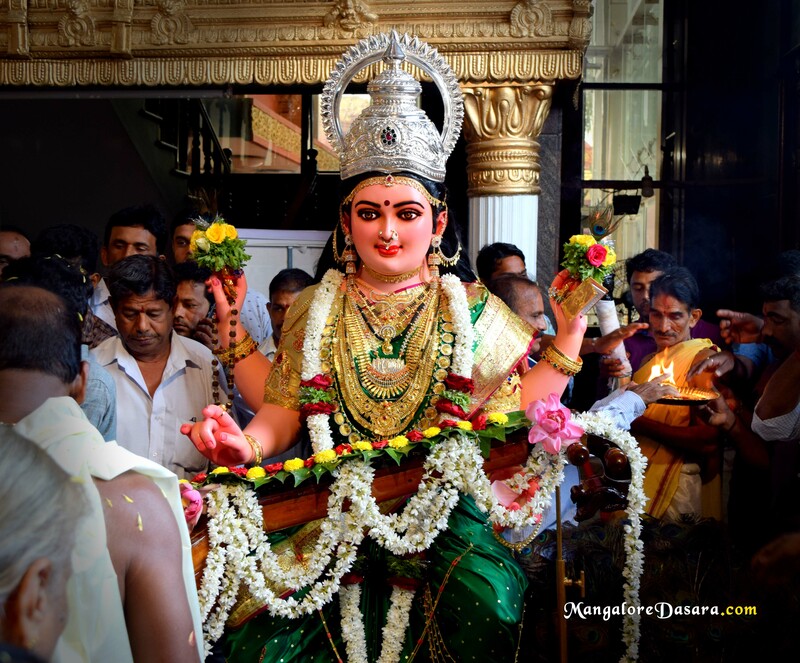 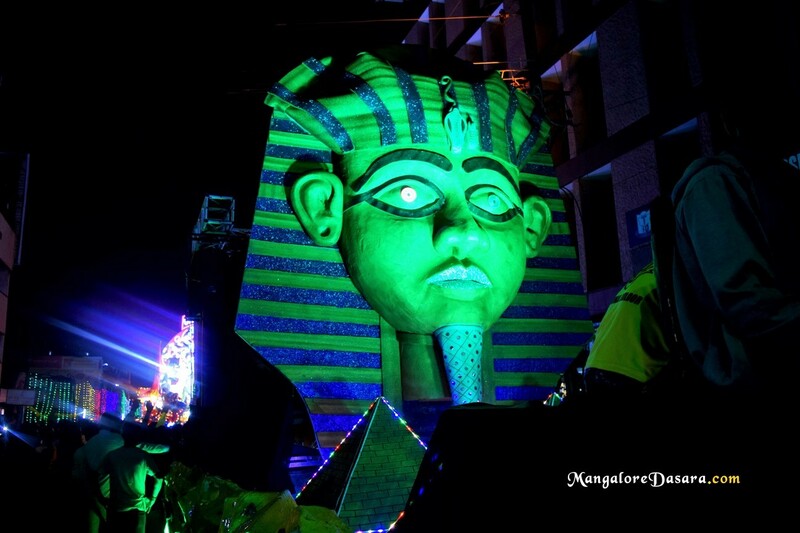 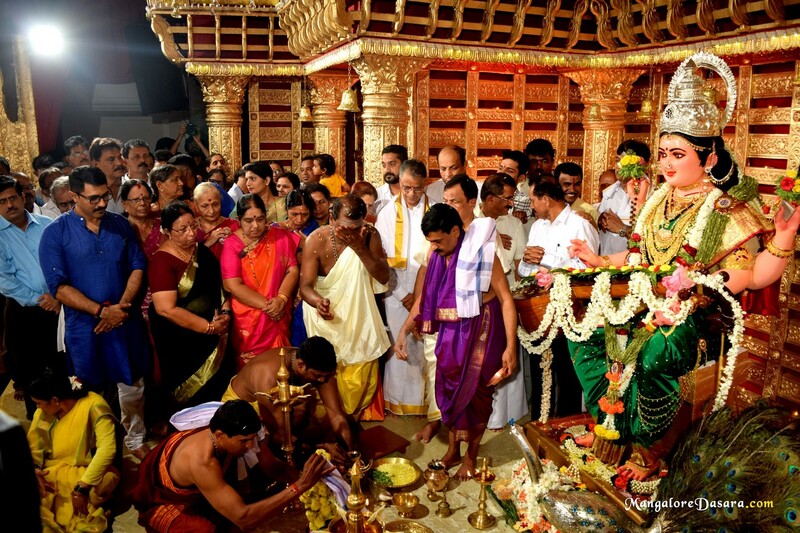 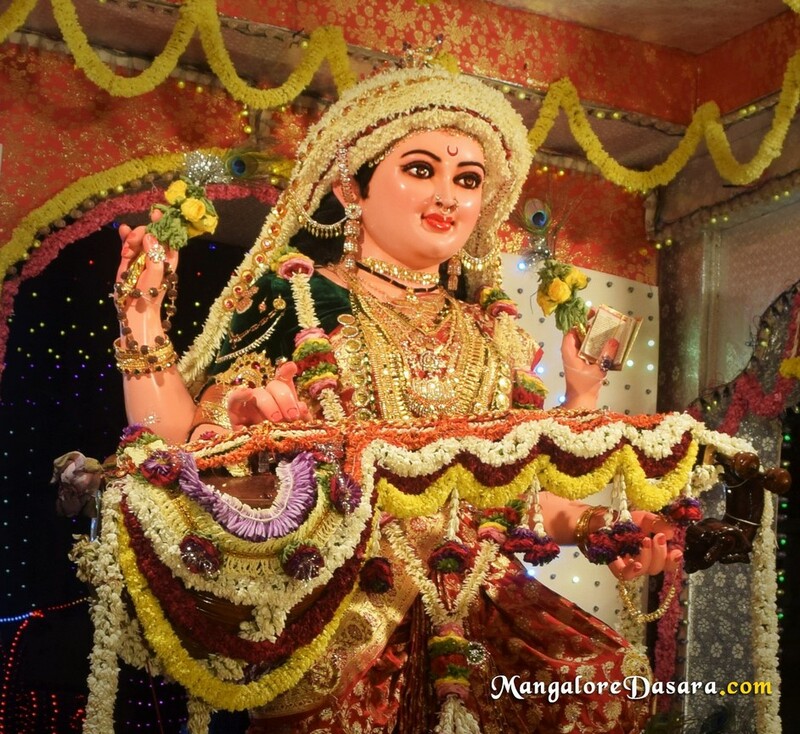 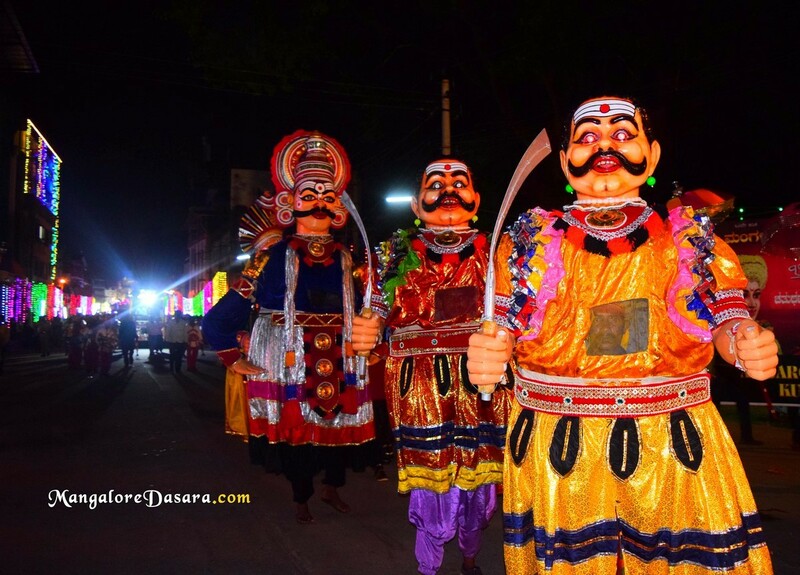 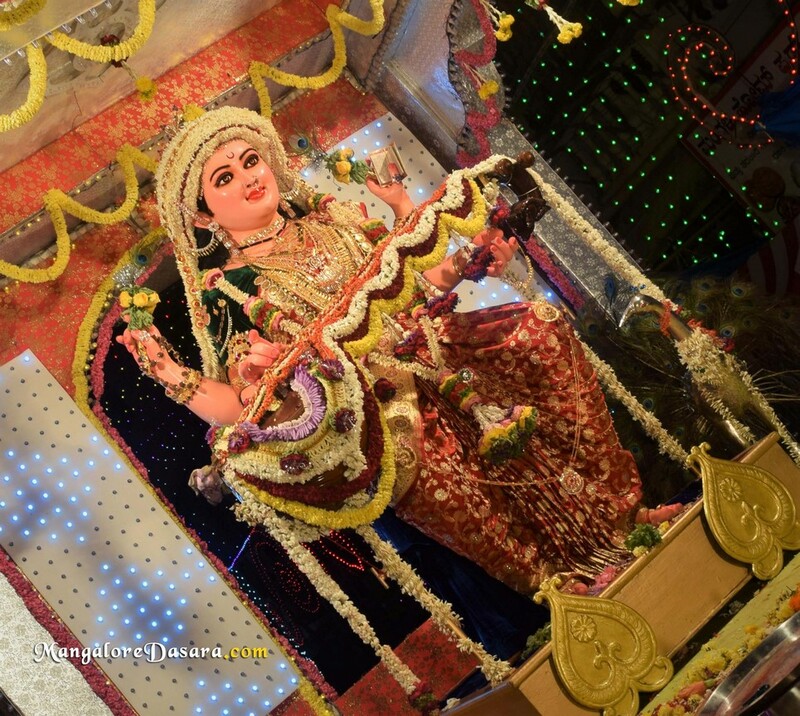 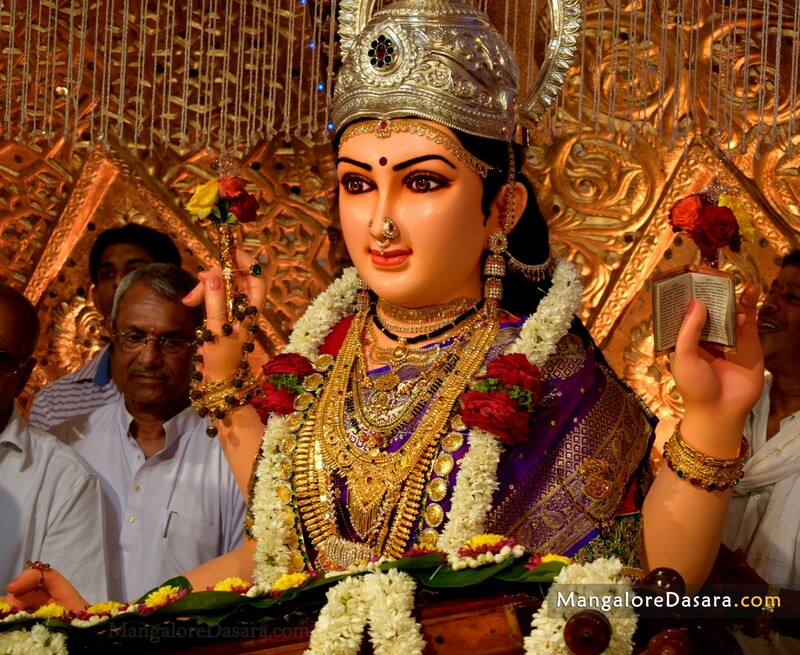 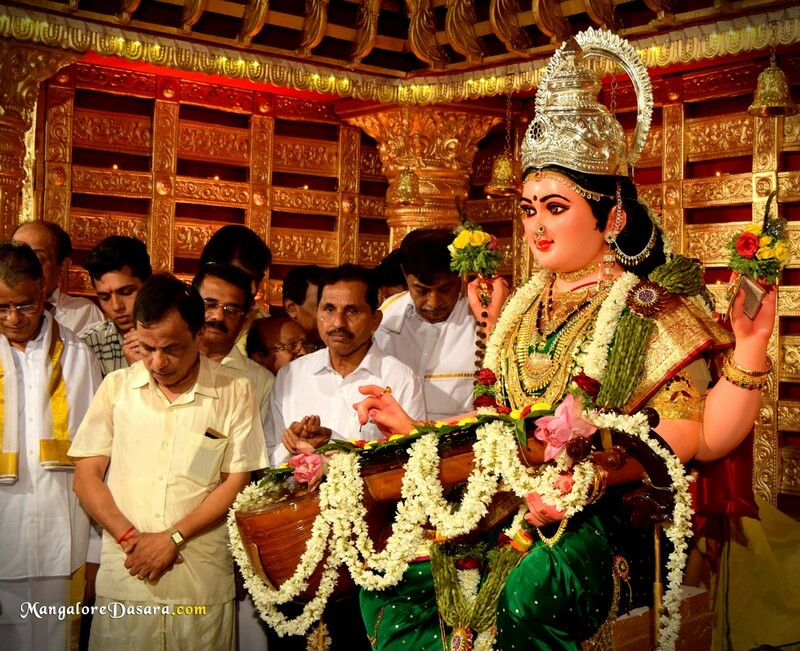 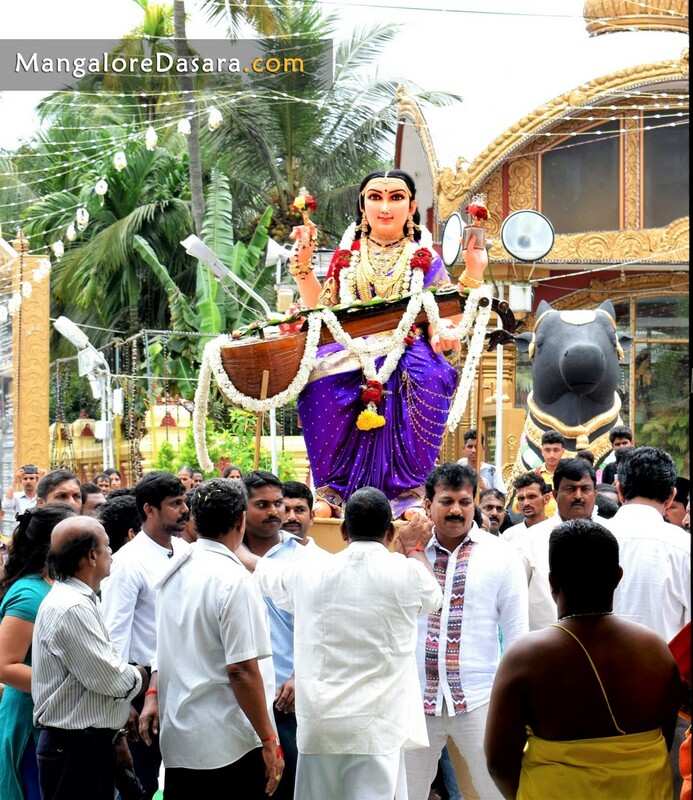 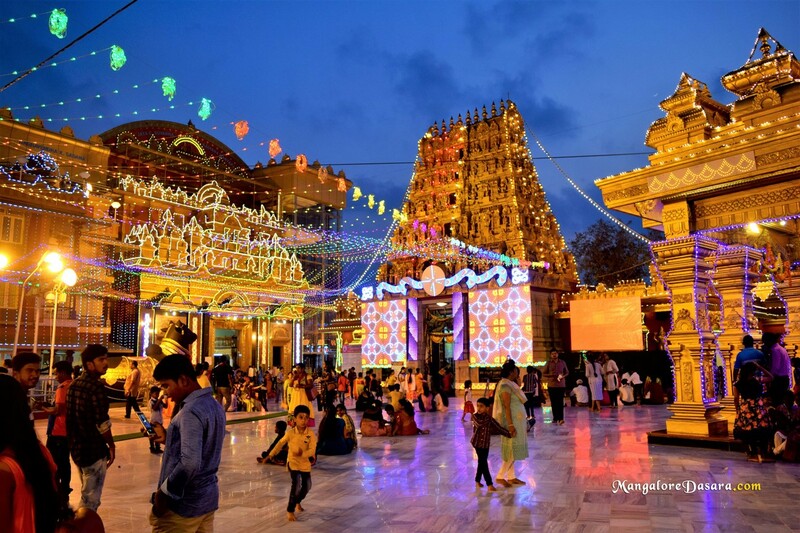 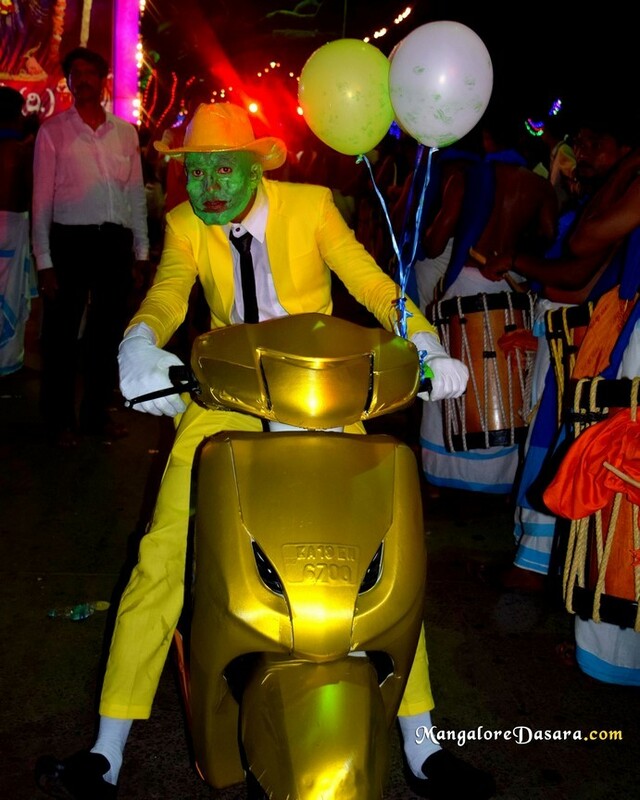 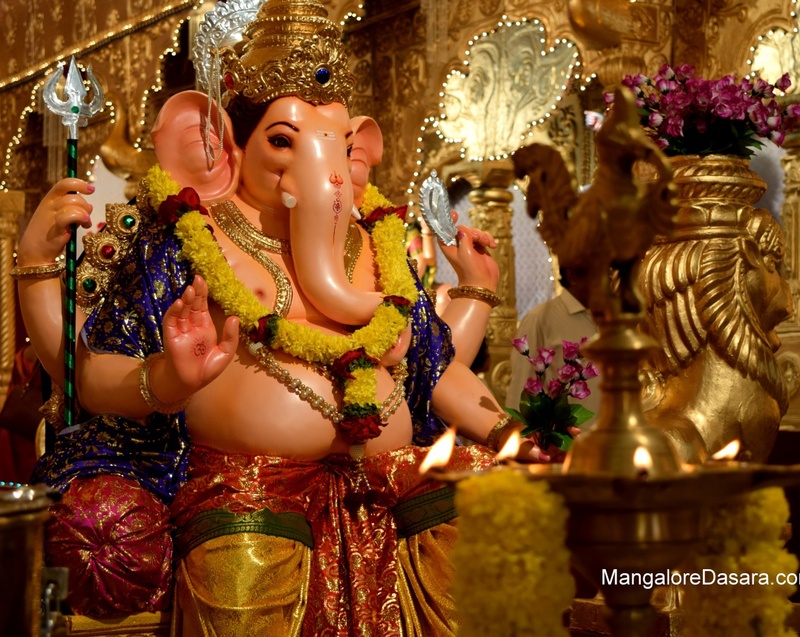 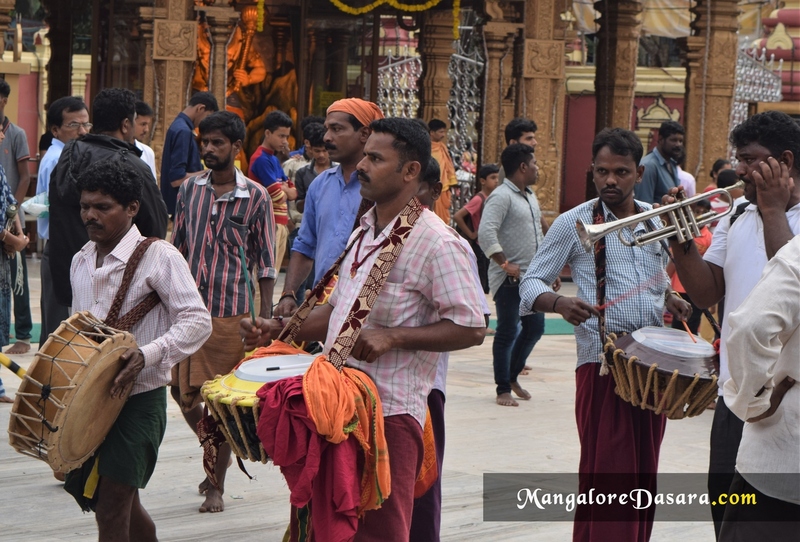 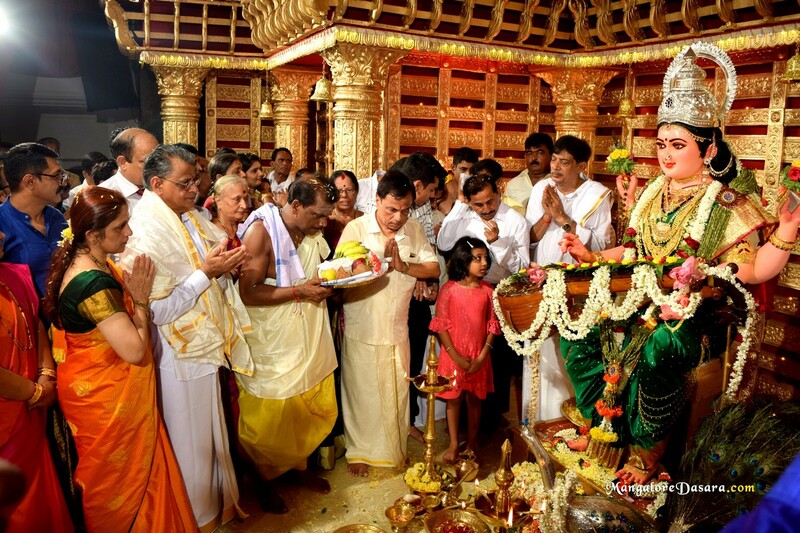 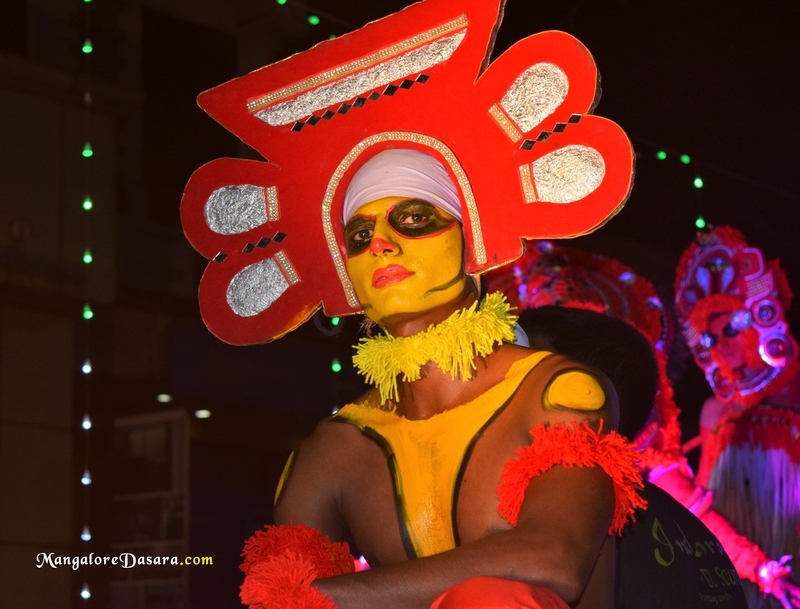 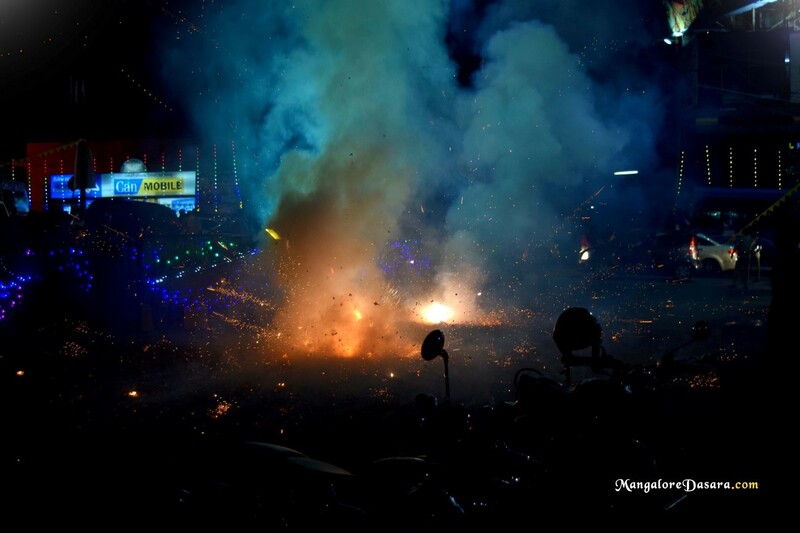 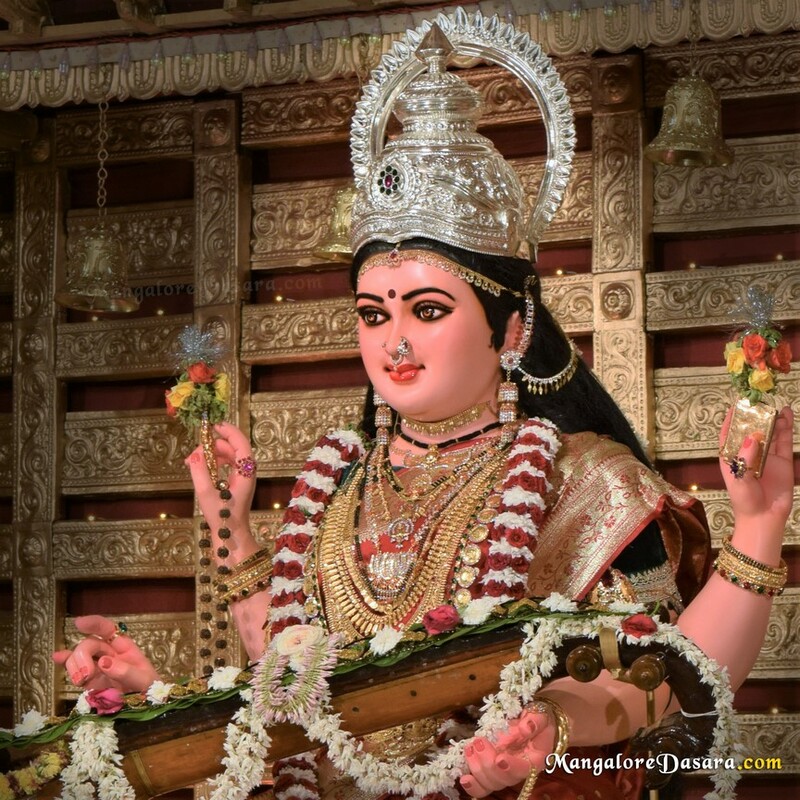 The well-known Mangalore Dasara celebrations is famous for its sparkling procession . 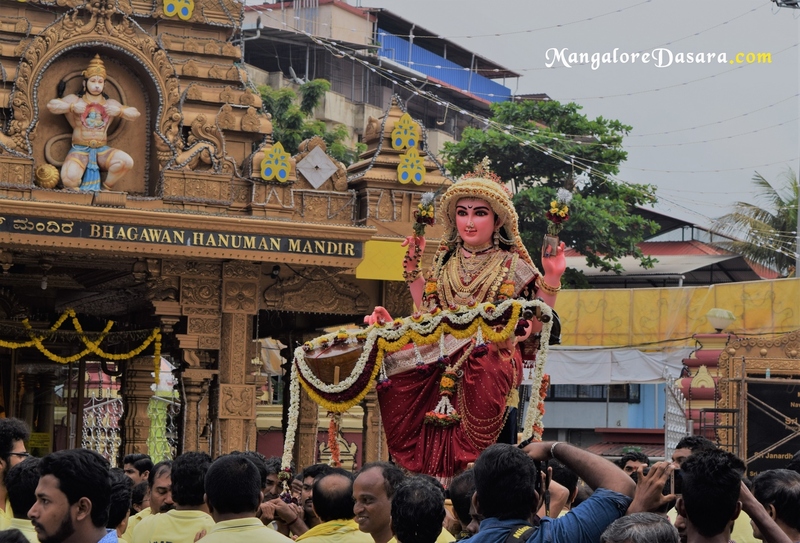 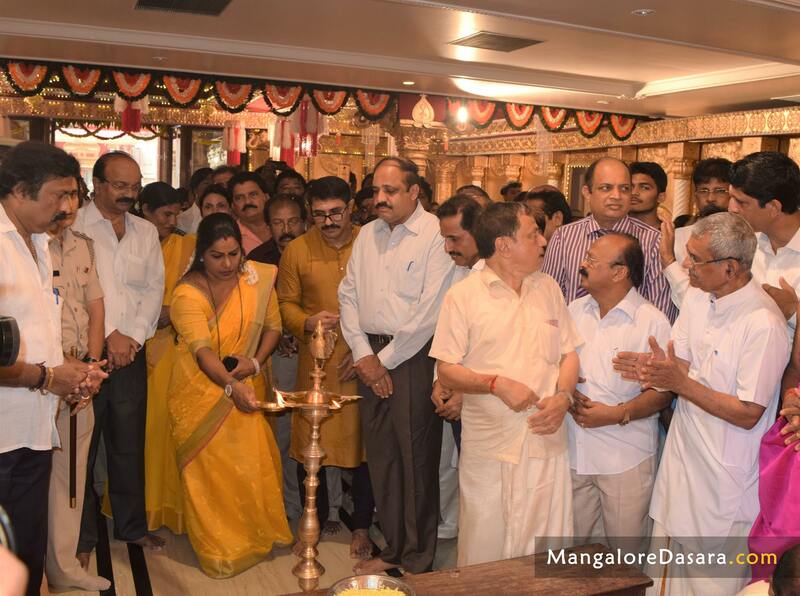 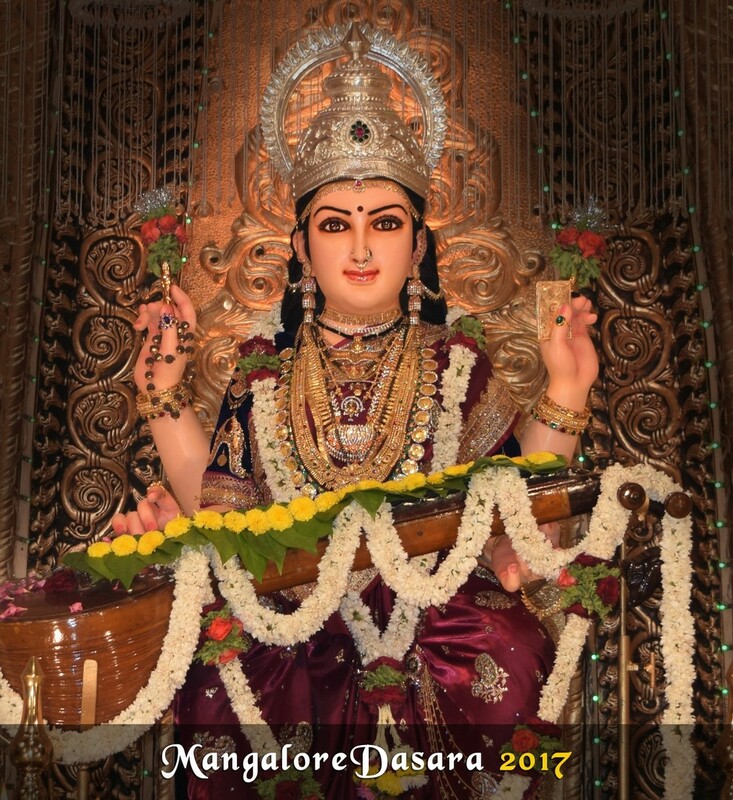 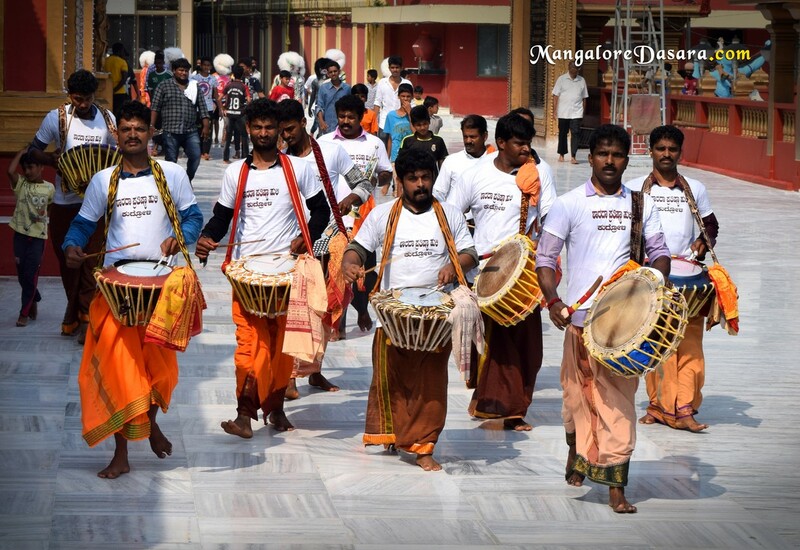 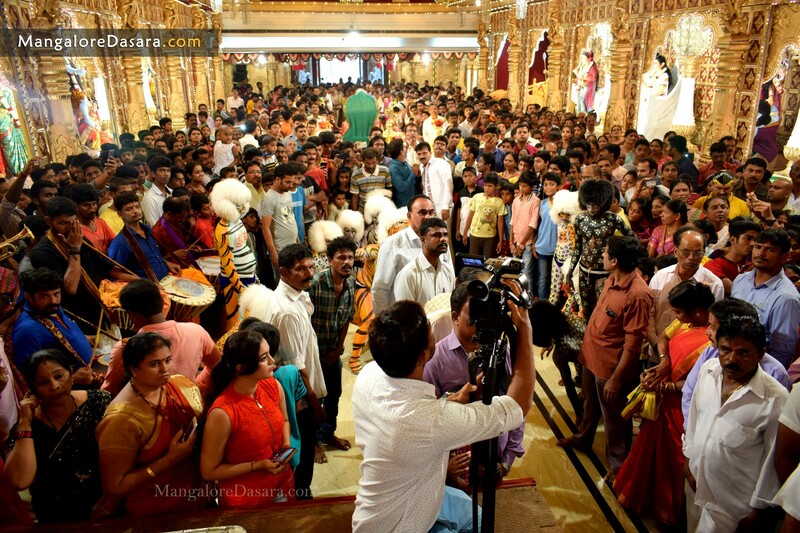 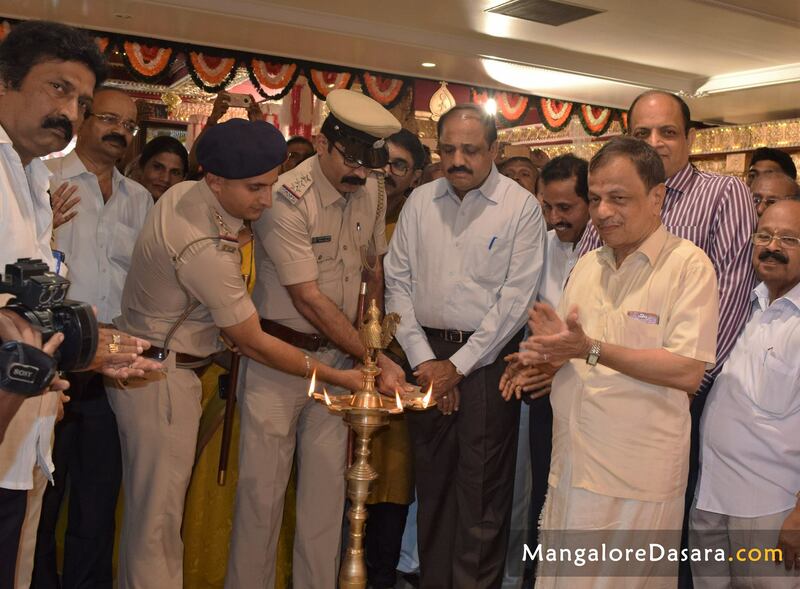 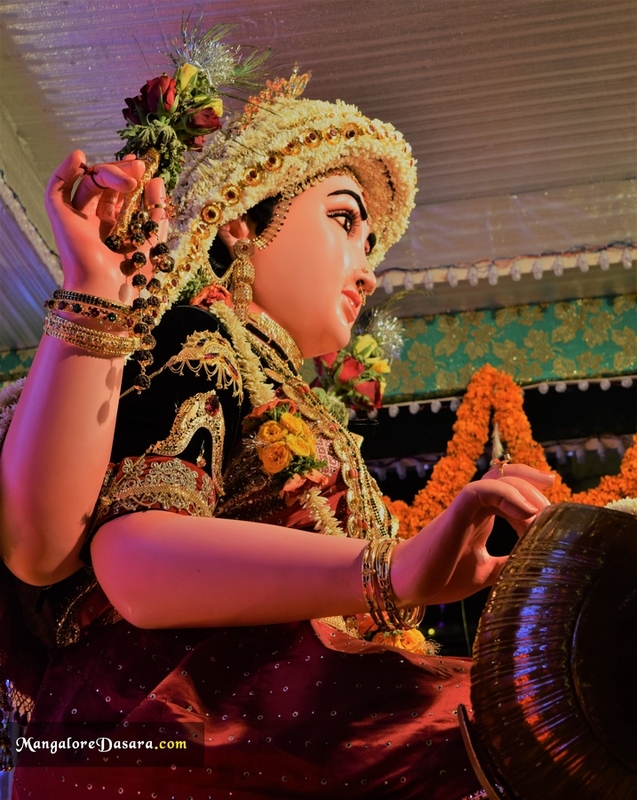 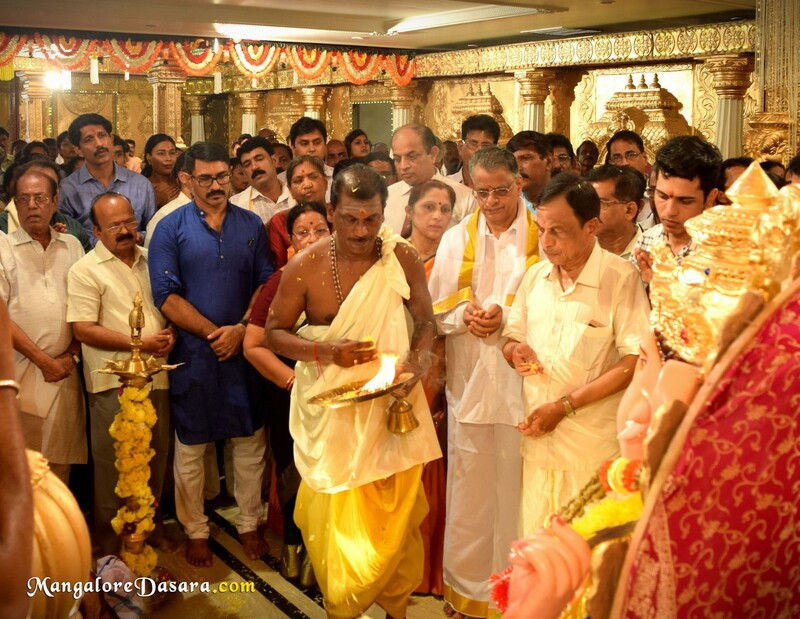 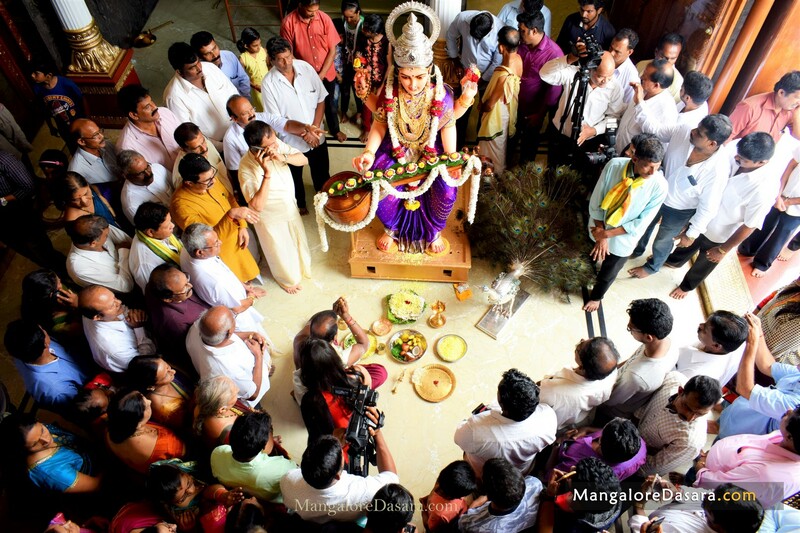 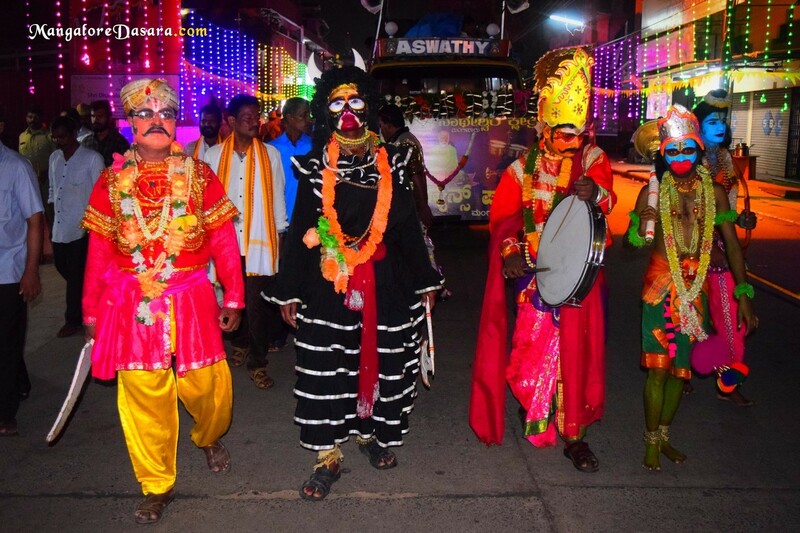 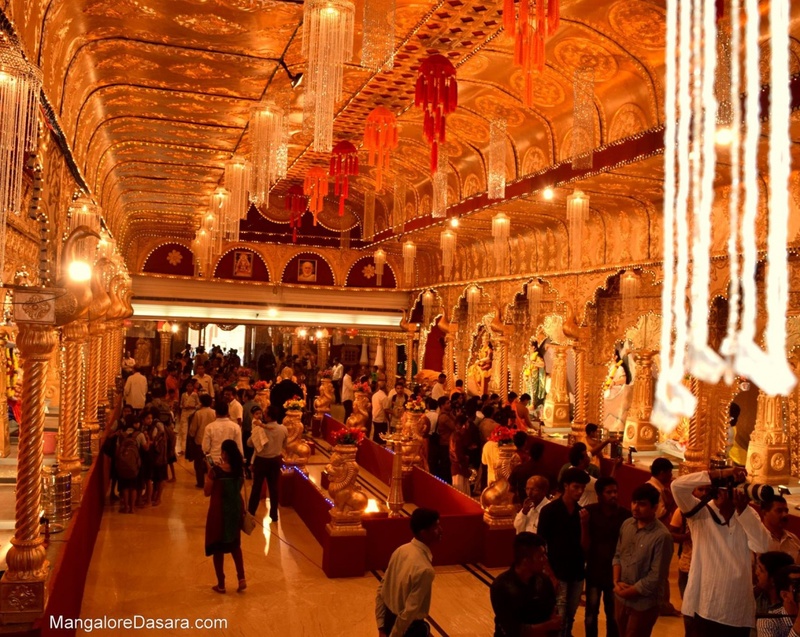 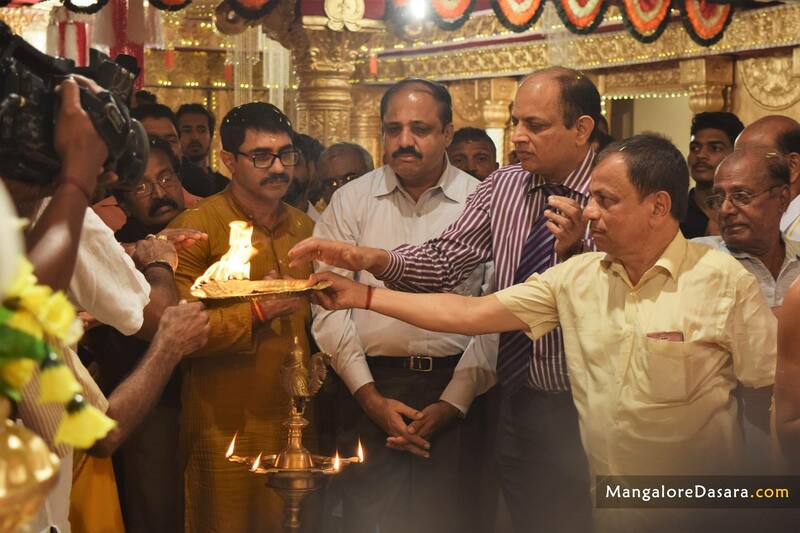 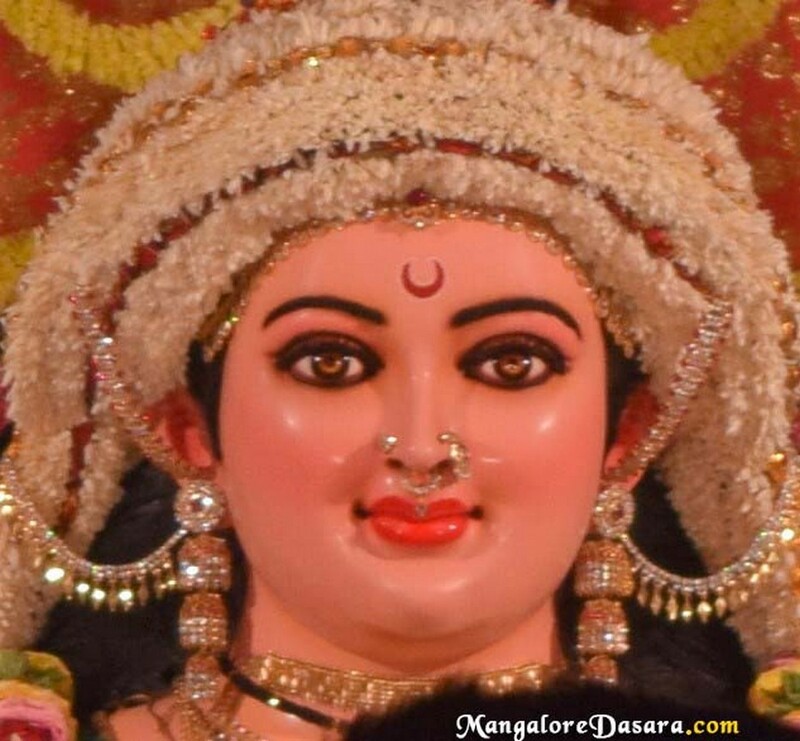 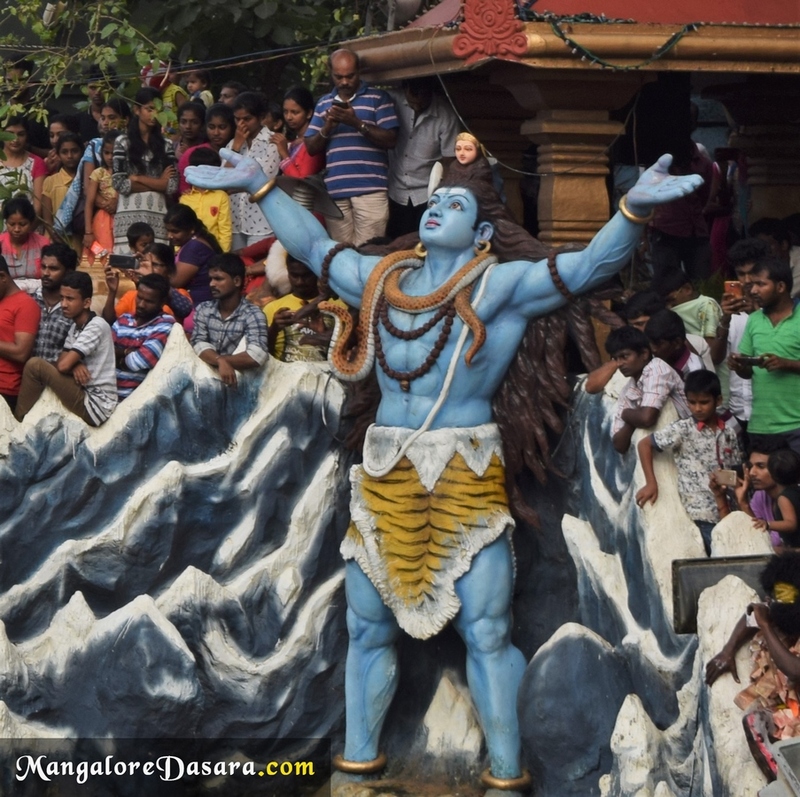 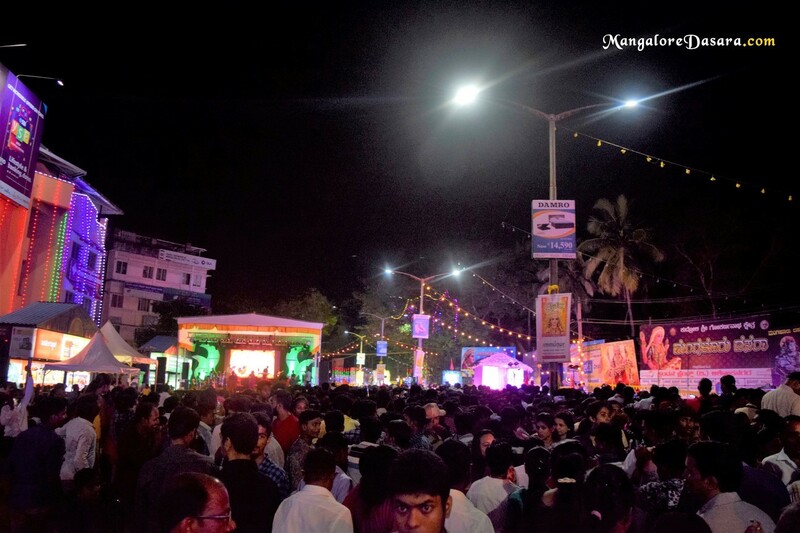 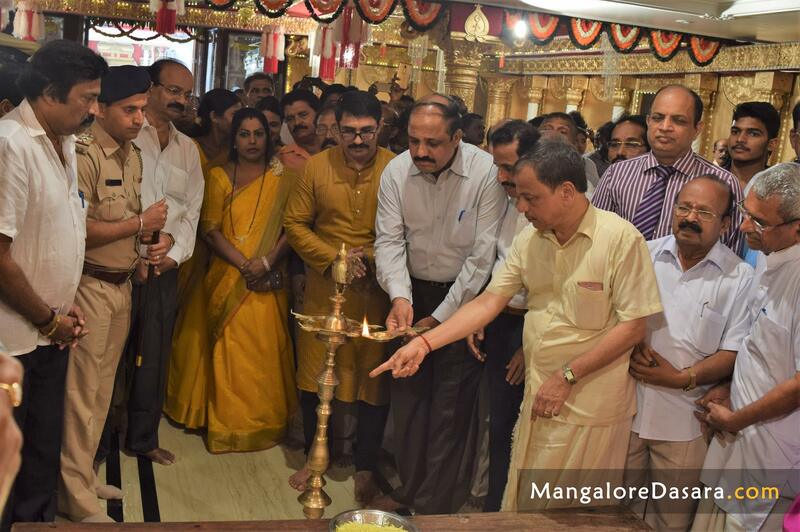 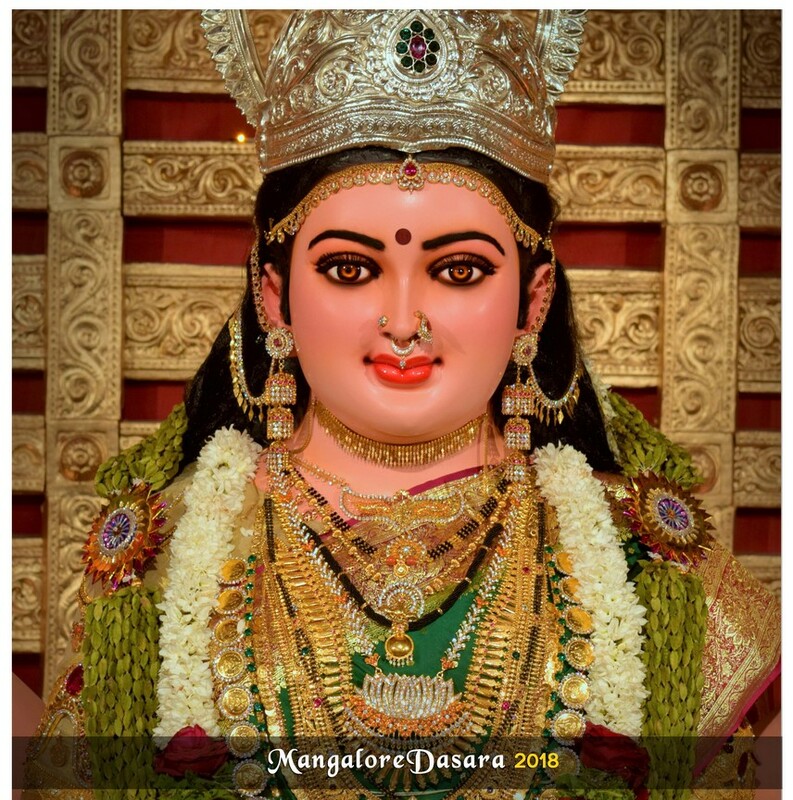 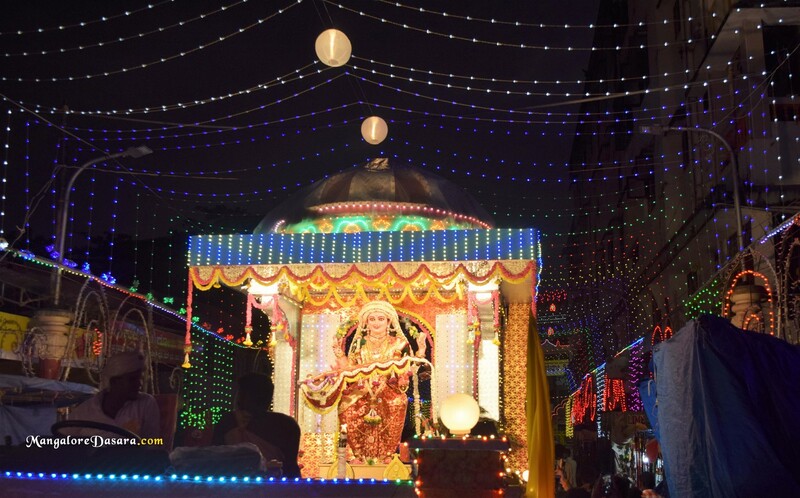 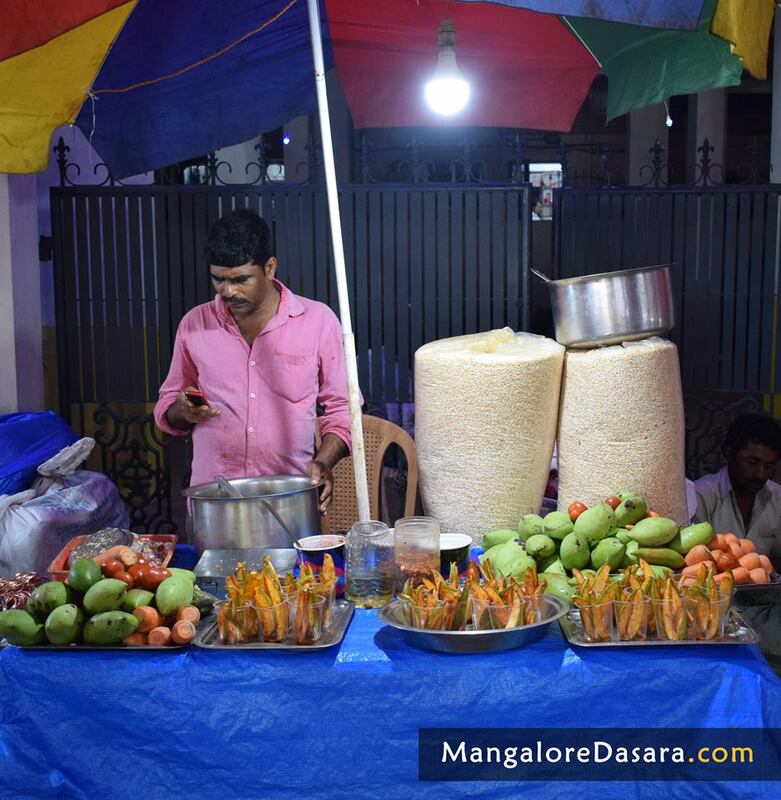 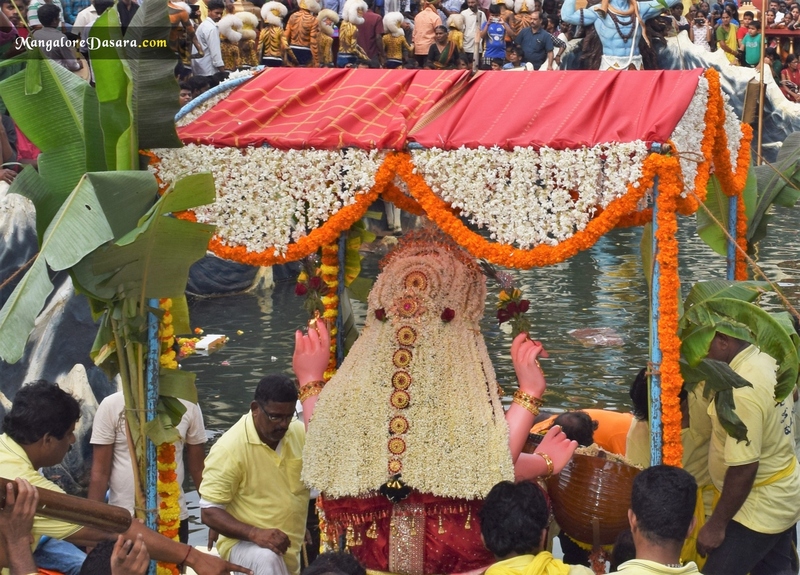 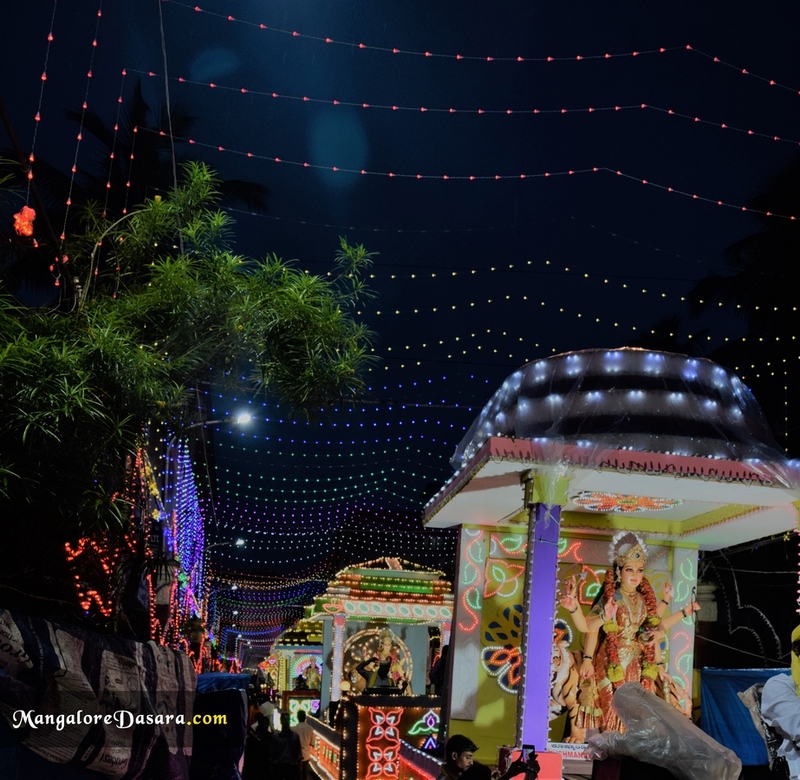 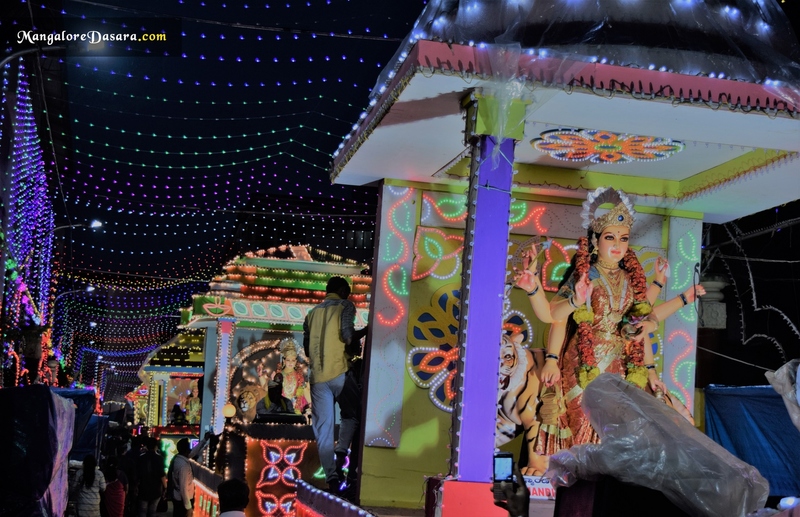 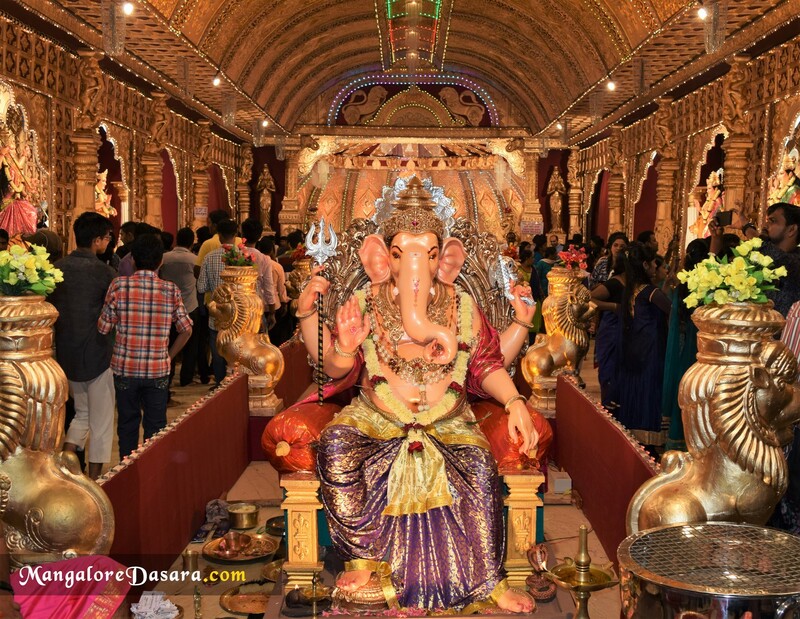 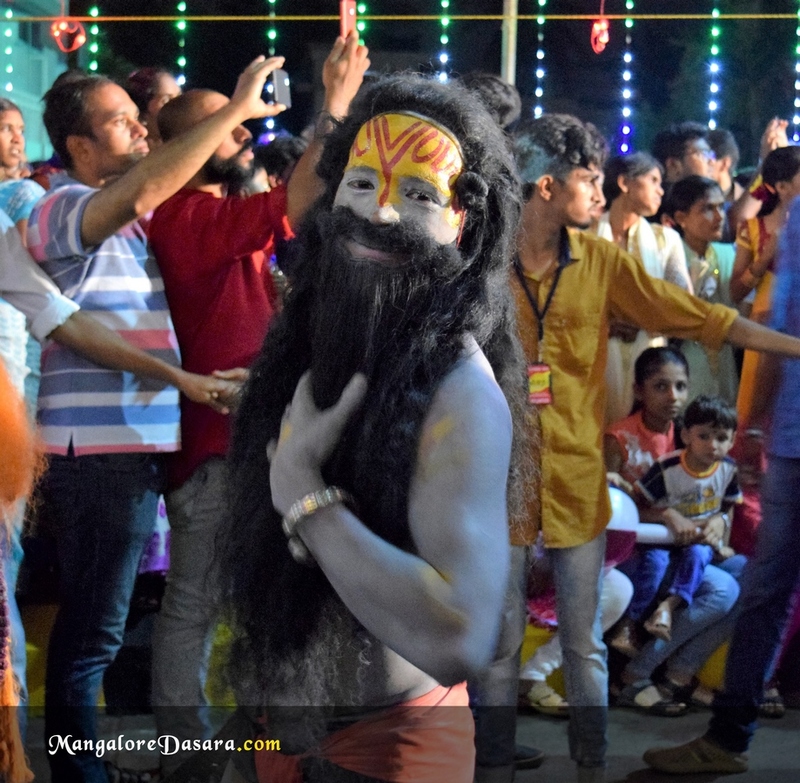 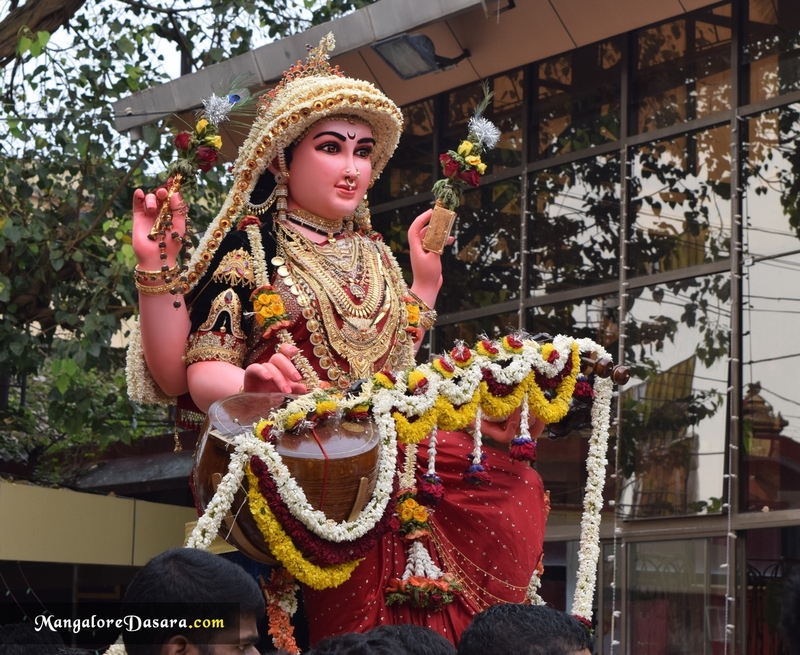 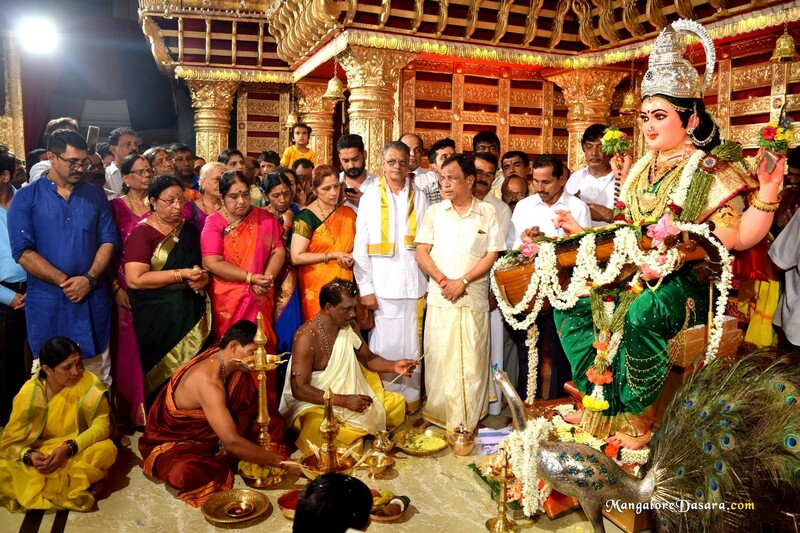 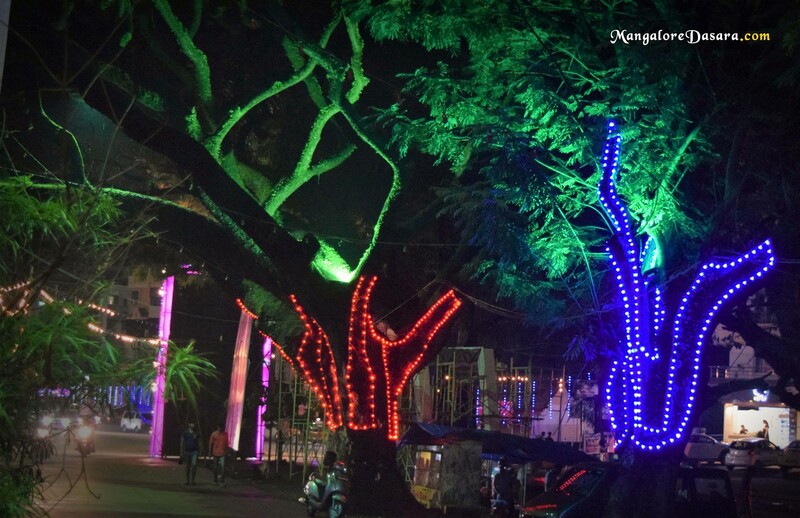 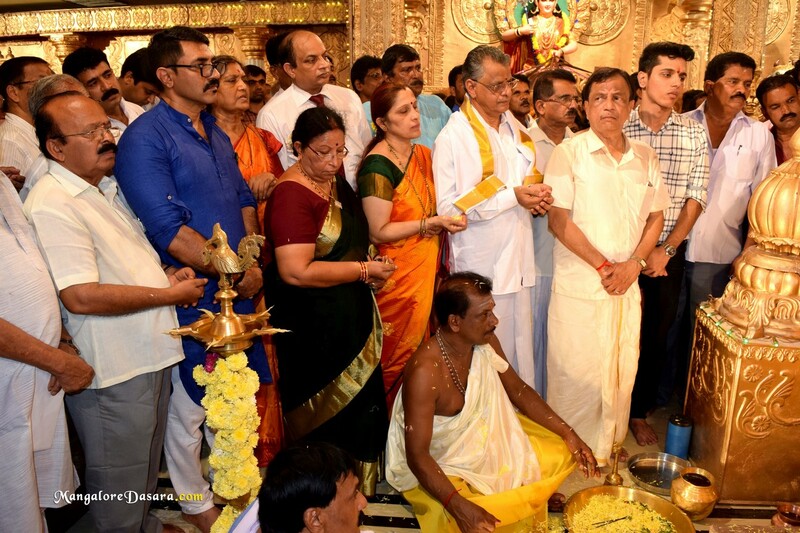 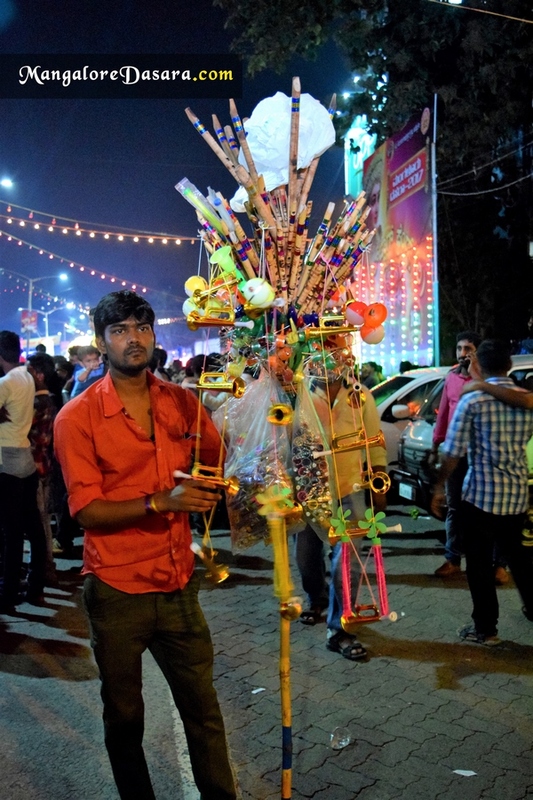 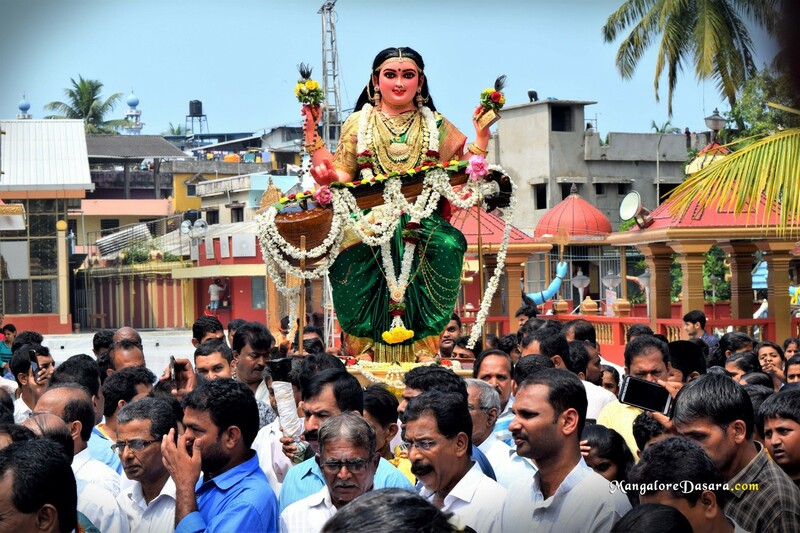 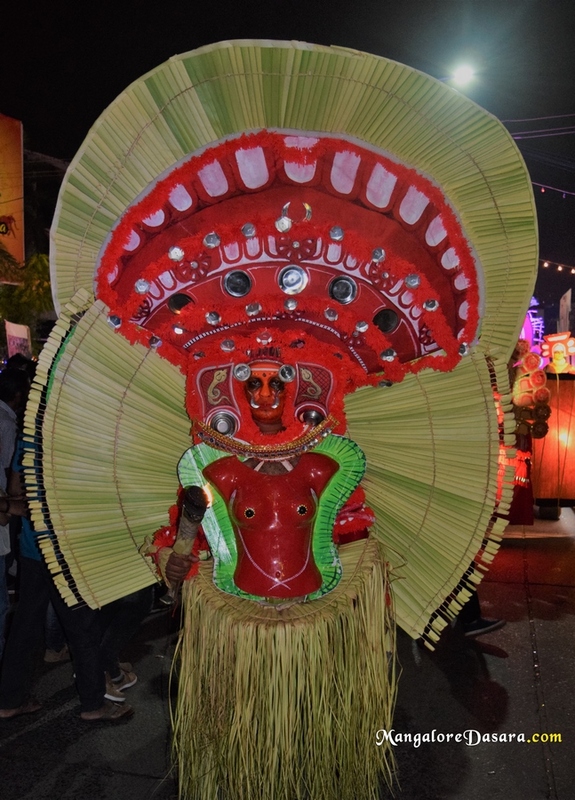 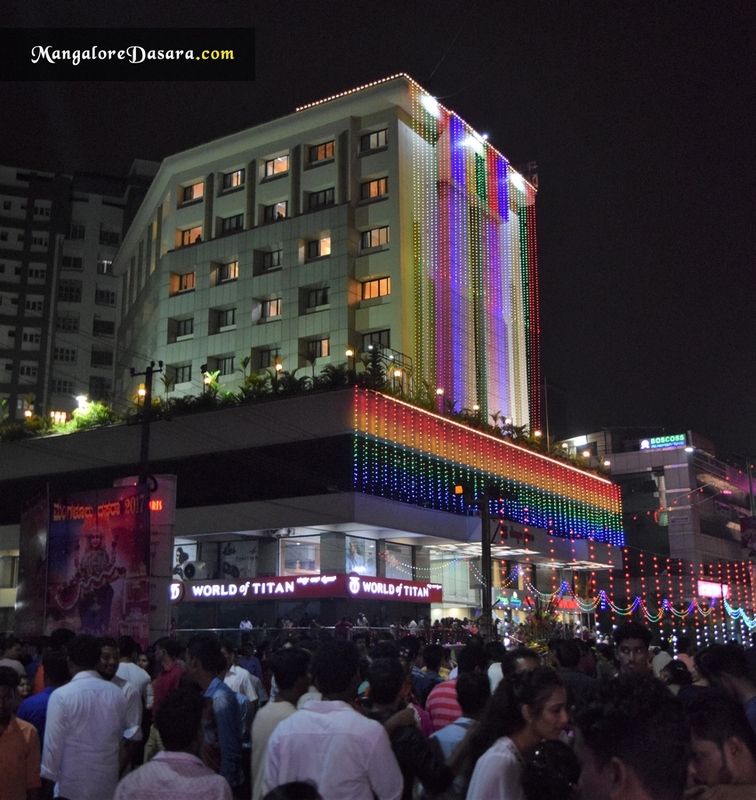 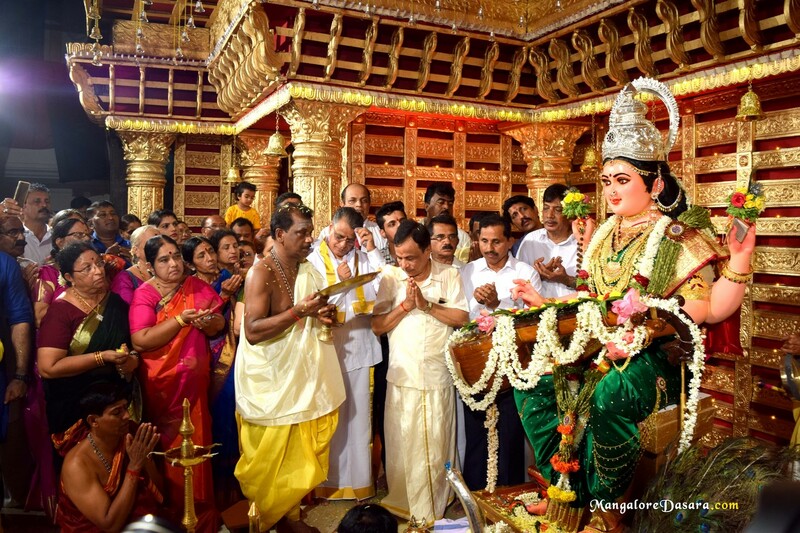 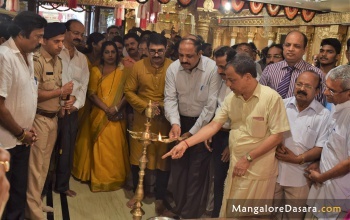 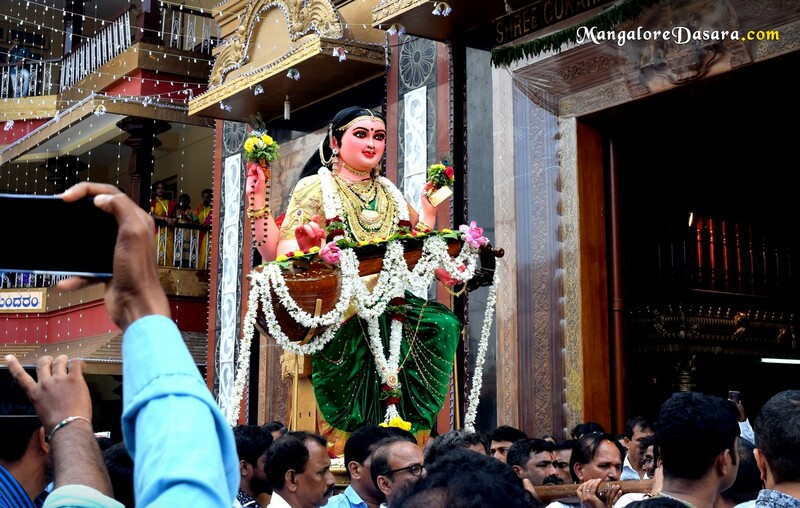 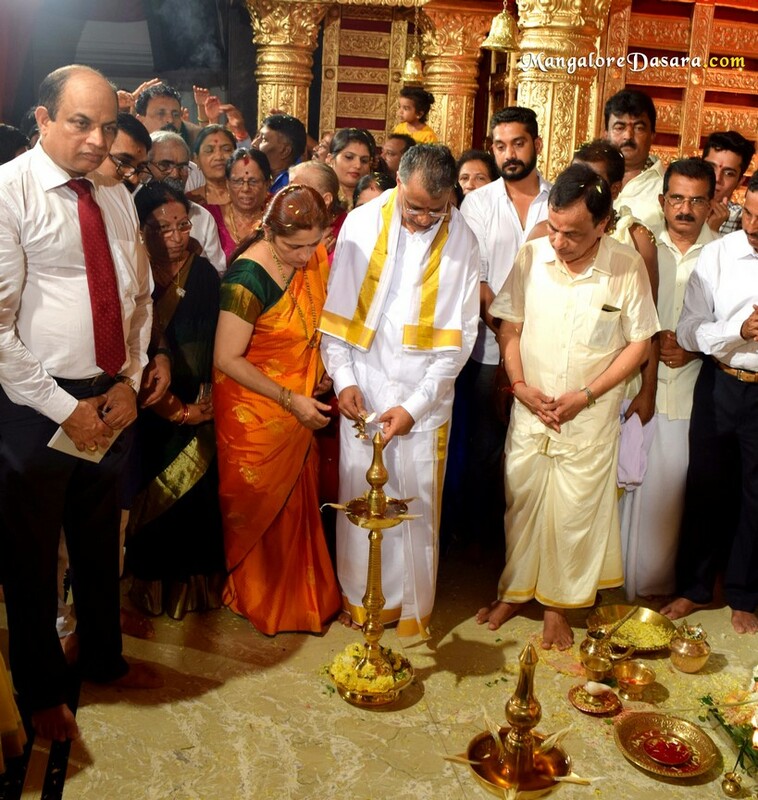 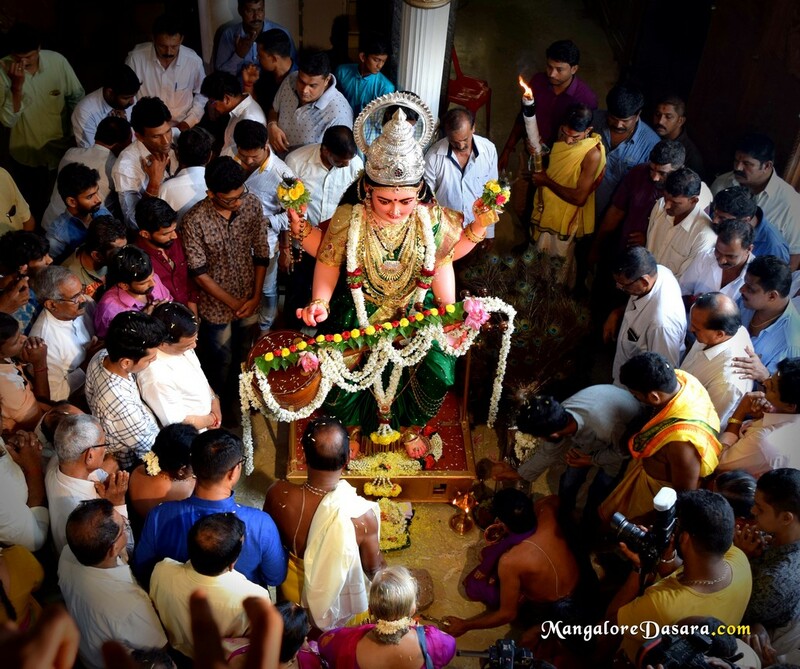 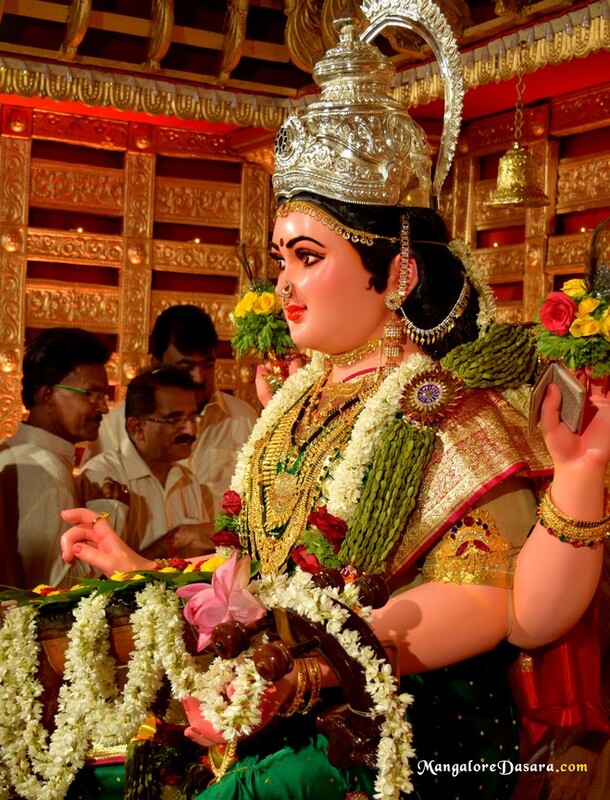 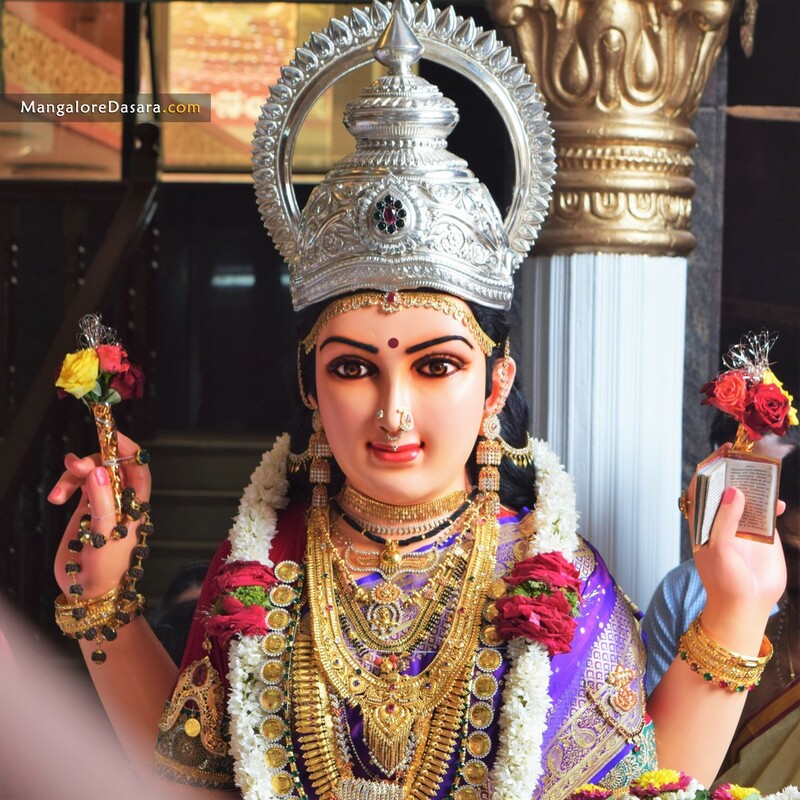 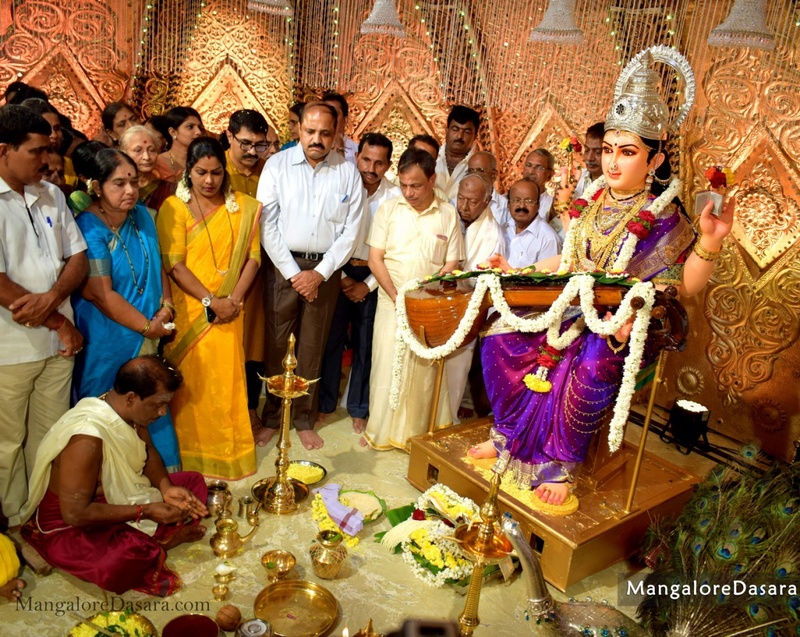 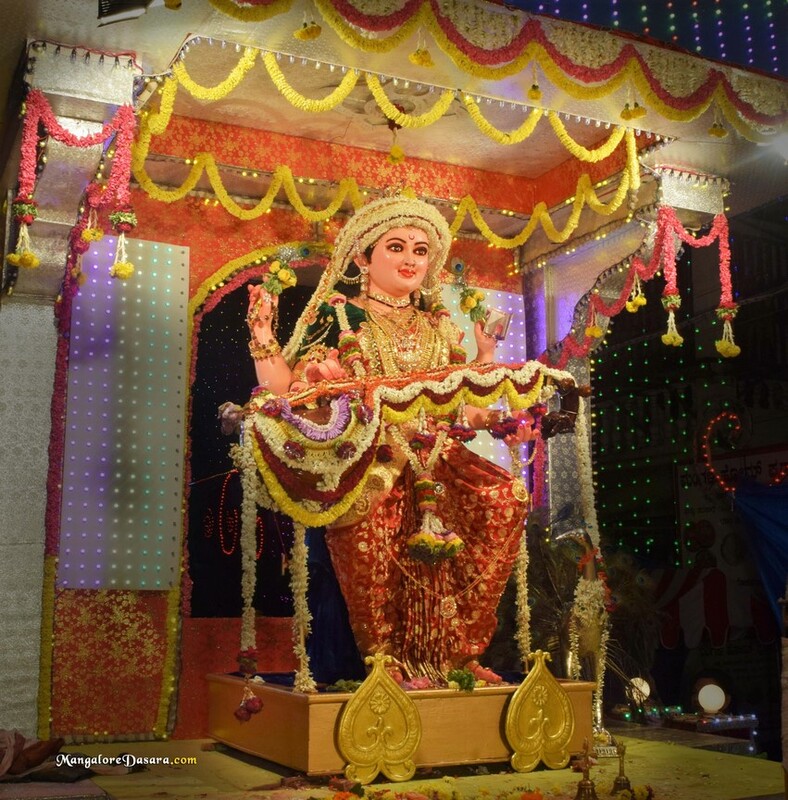 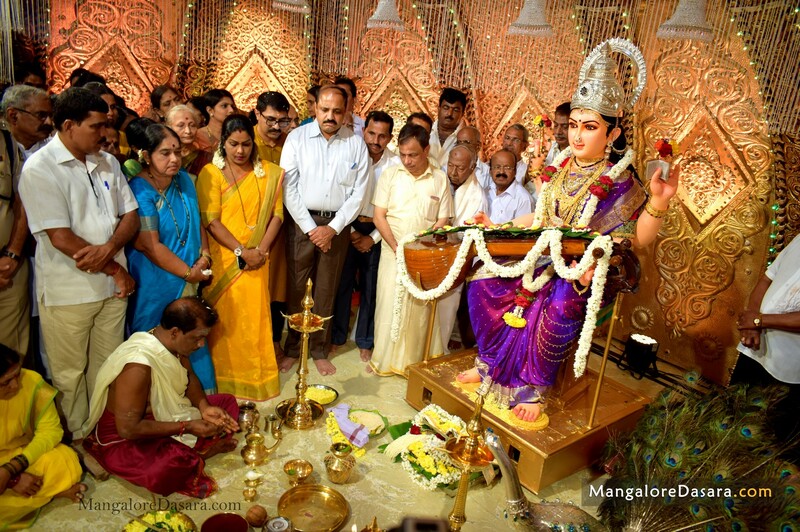 The Citizens of Mangalore and thousands of devotees from various parts are joining together in the City to witness the grand finale of the Mangalore Dasara on the day of Vijayadashami .People will be decorating their houses and business building, shops, hotels, etc. 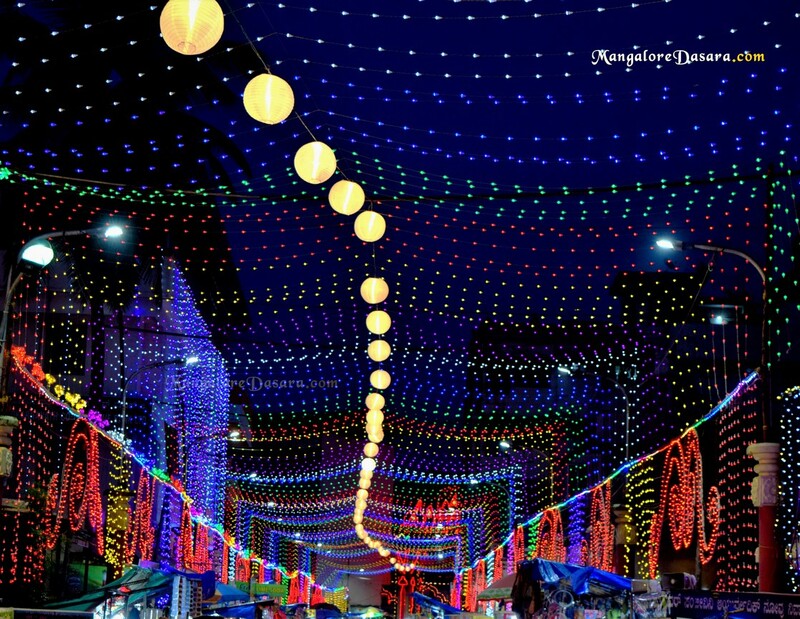 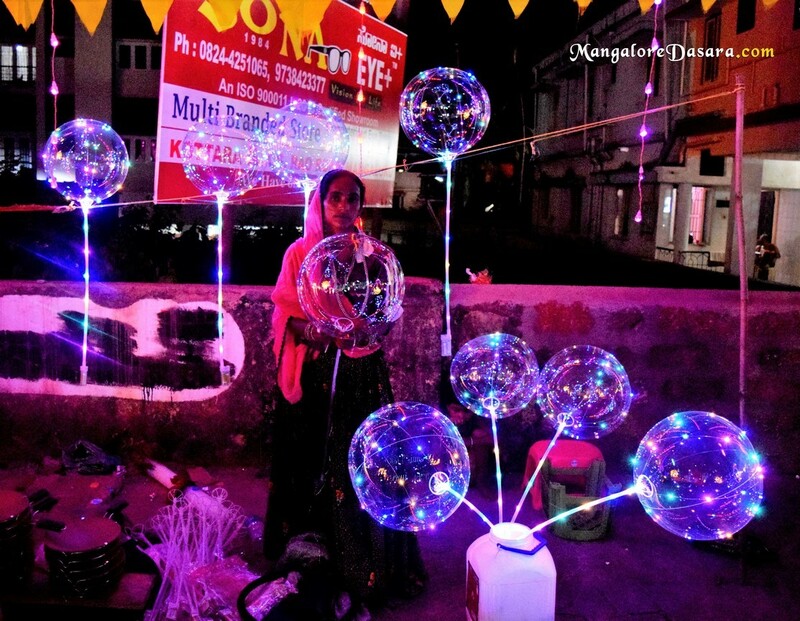 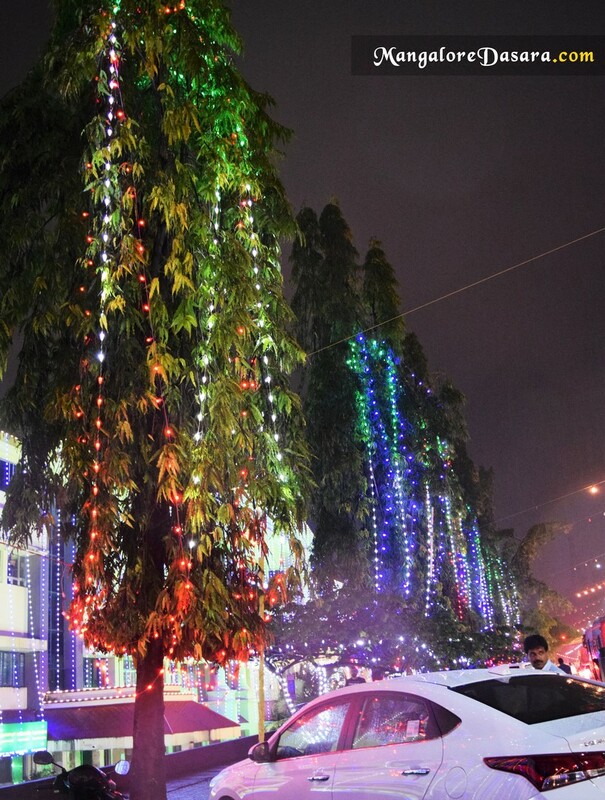 Over all the entire streets in the City were decorating with electric bulbs to welcome the procession. 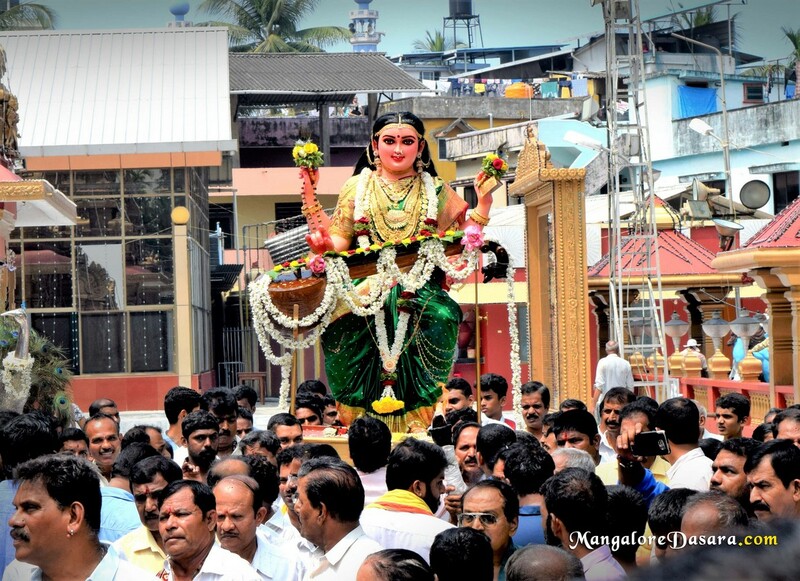 At Mangalore Dasara procession Idols of ‘Navadurgas’ along with Mahaganapathi and Sharada were taken , which was blown up by flowers , decorative umbrellas, tableaus, bands, chende and traditional dances ,folk dances ,music’s , Yakshagana characters, dollu kunitha, gombe (dolls) , karaga, hulivesha (Tiger Dance ) and other traditional art forms makes procession more colorful . 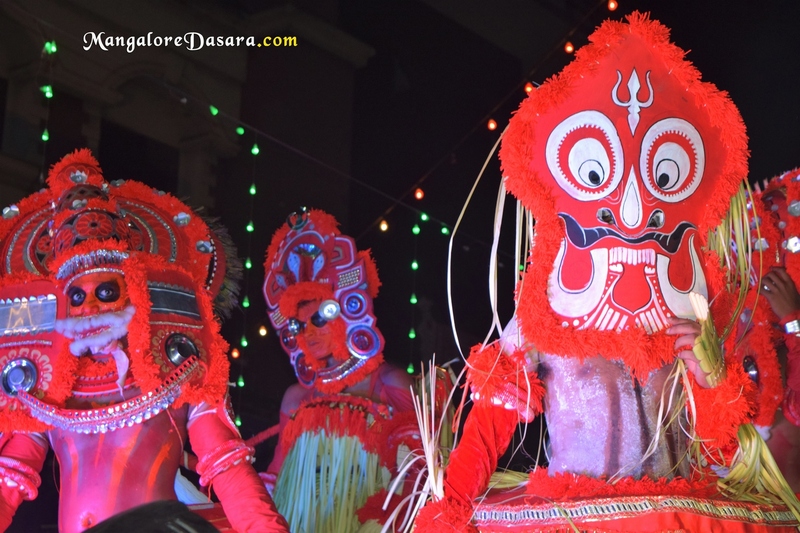 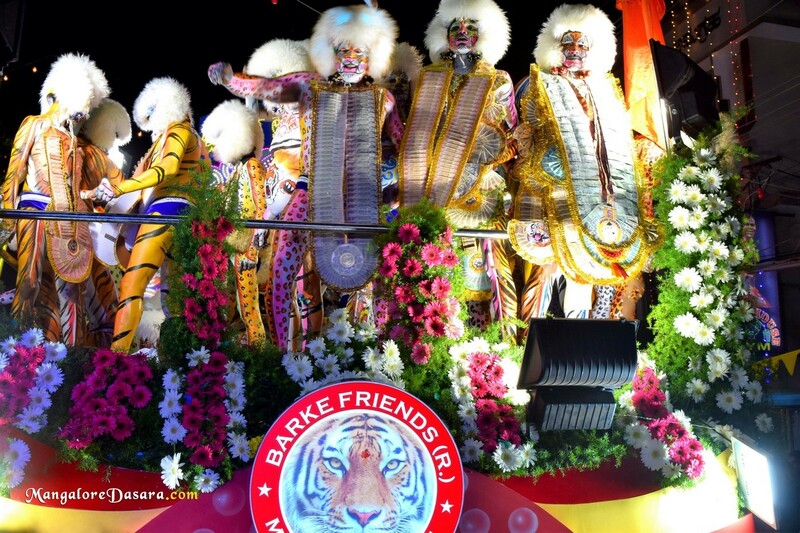 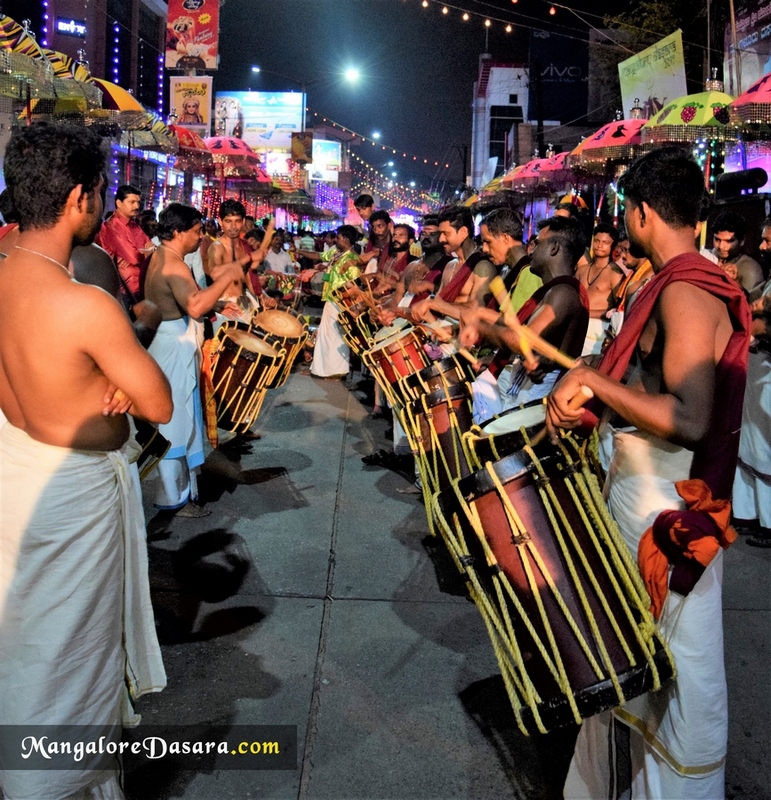 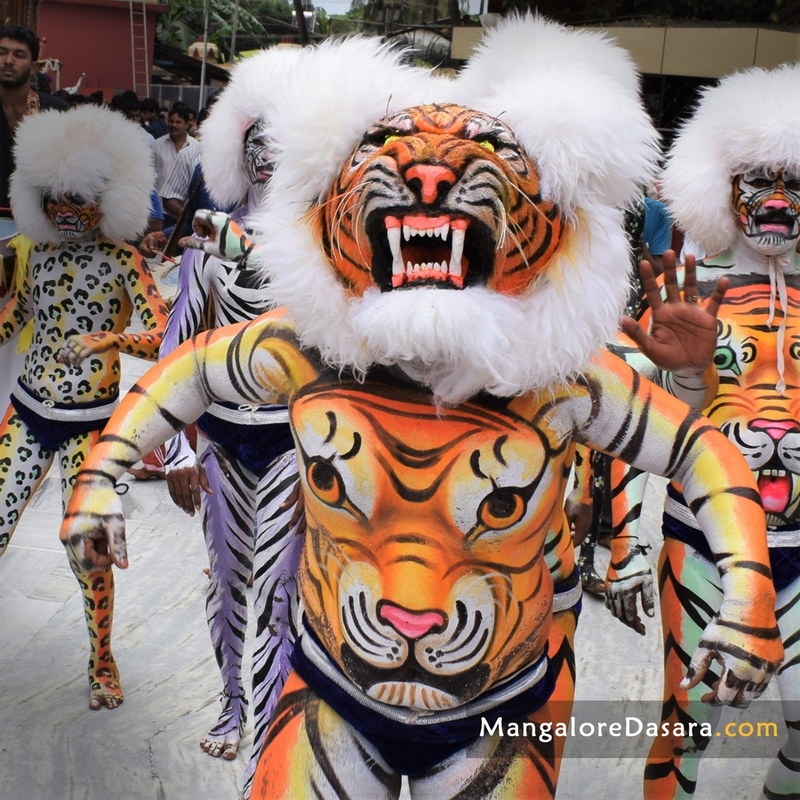 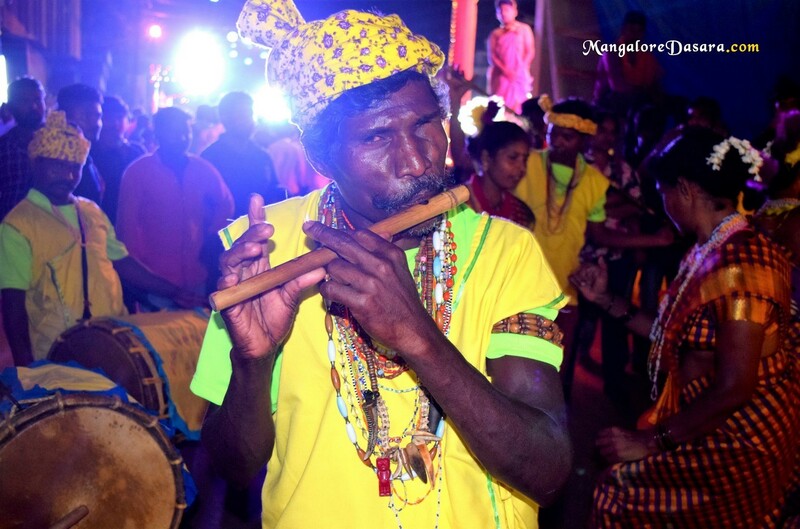 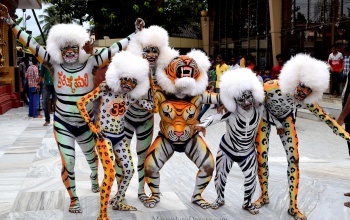 The streets of Mangalore are seen with the traditional tiger dance performers which is unique to only southern India.